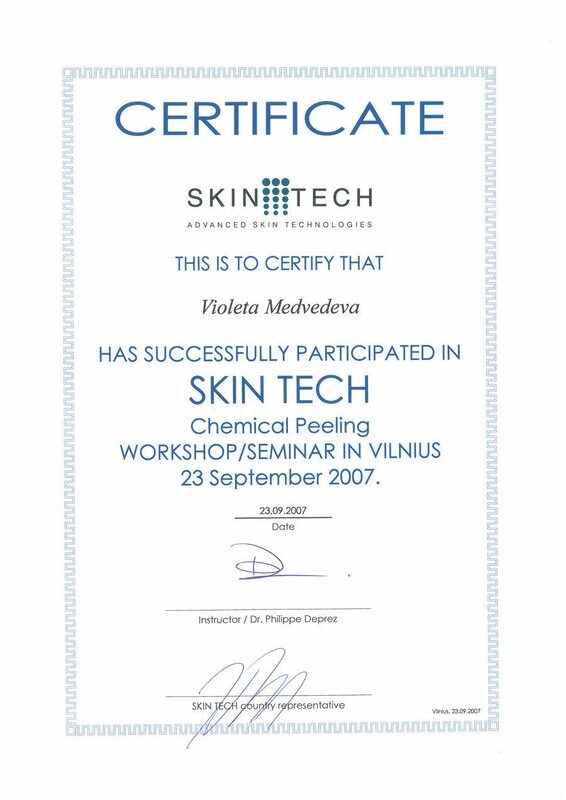 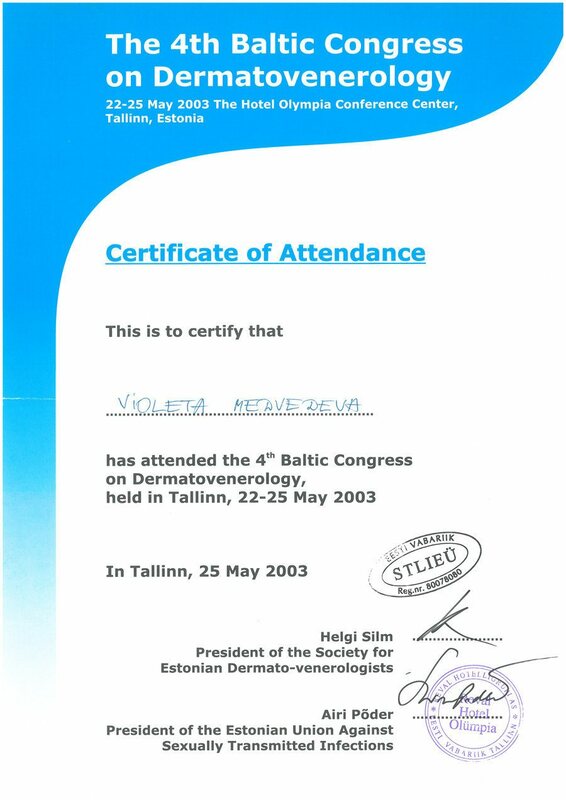 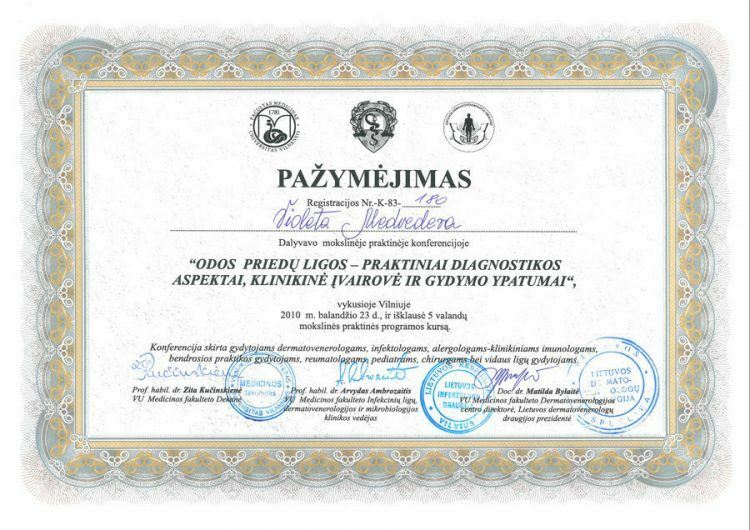 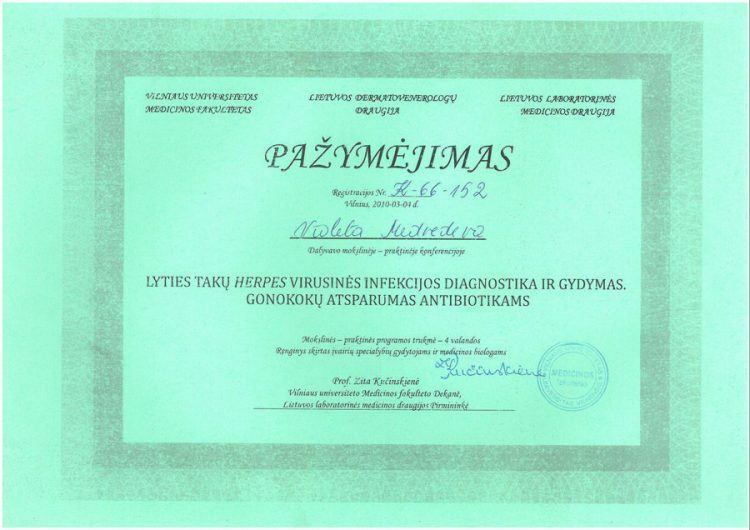 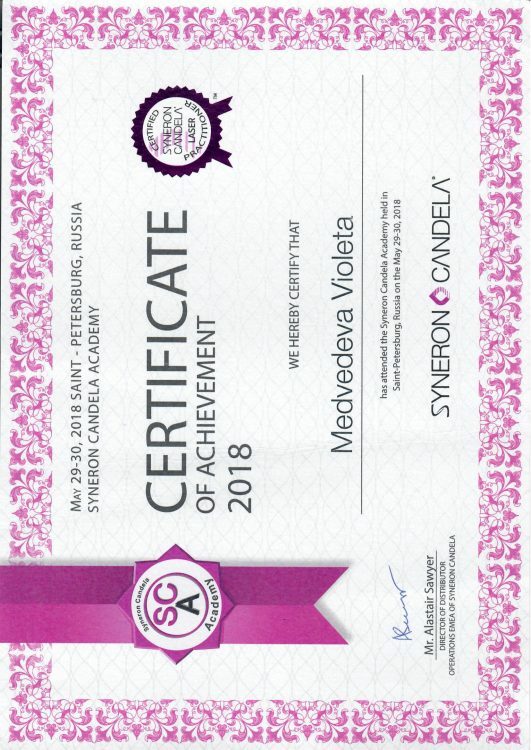 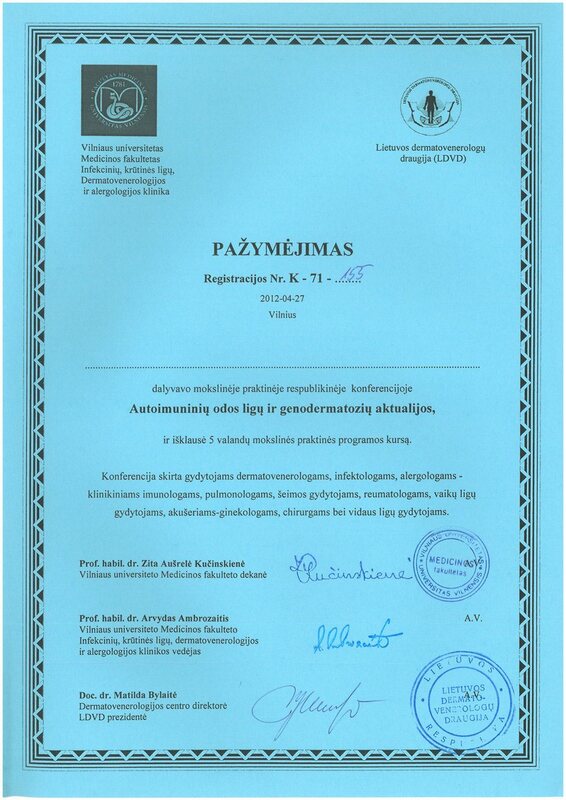 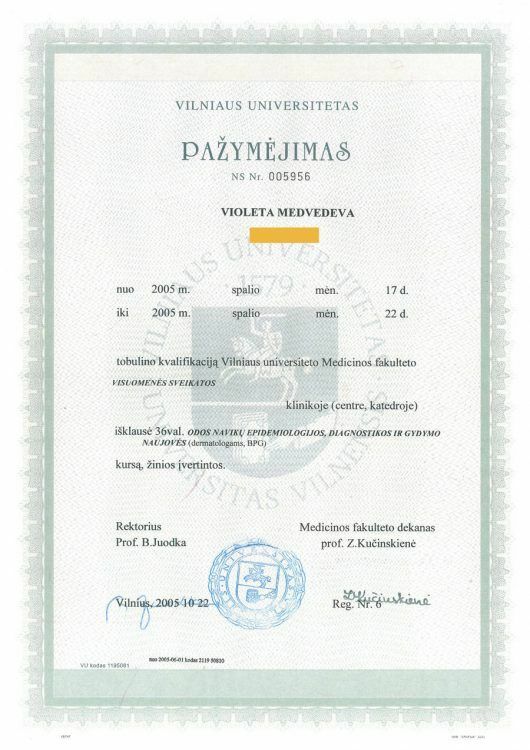 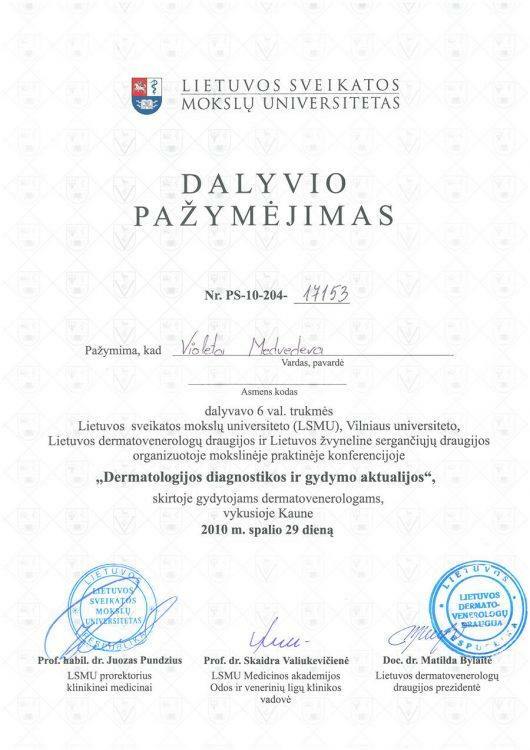 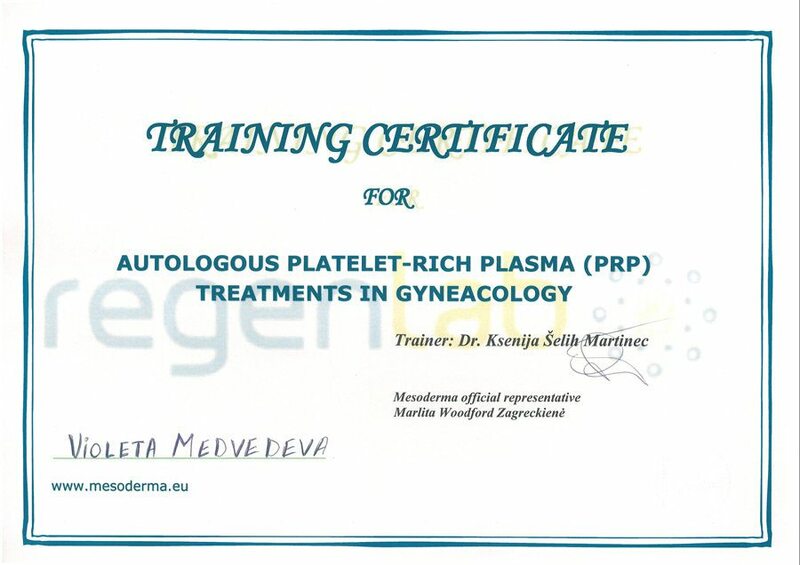 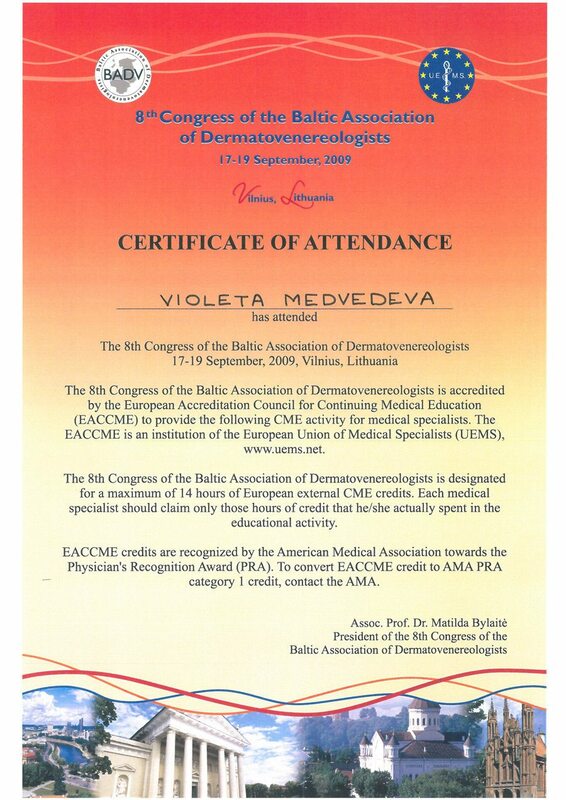 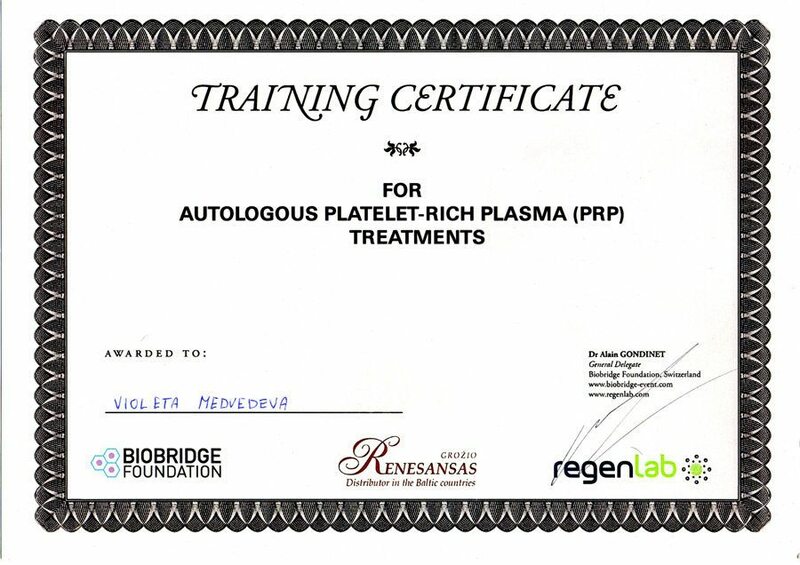 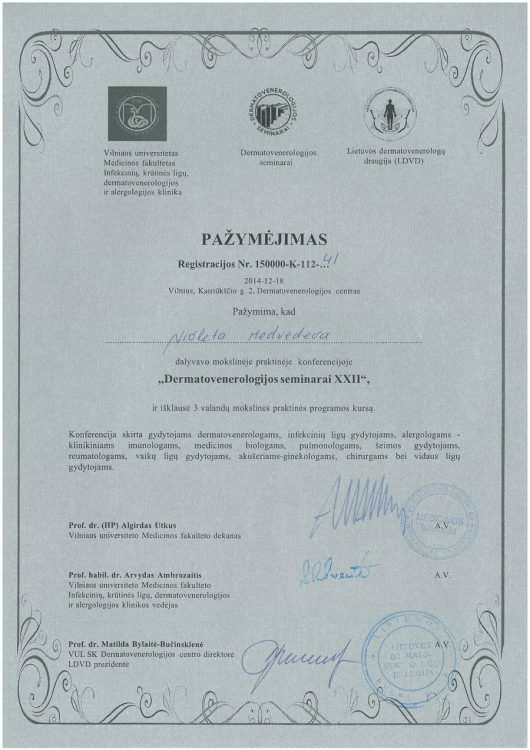 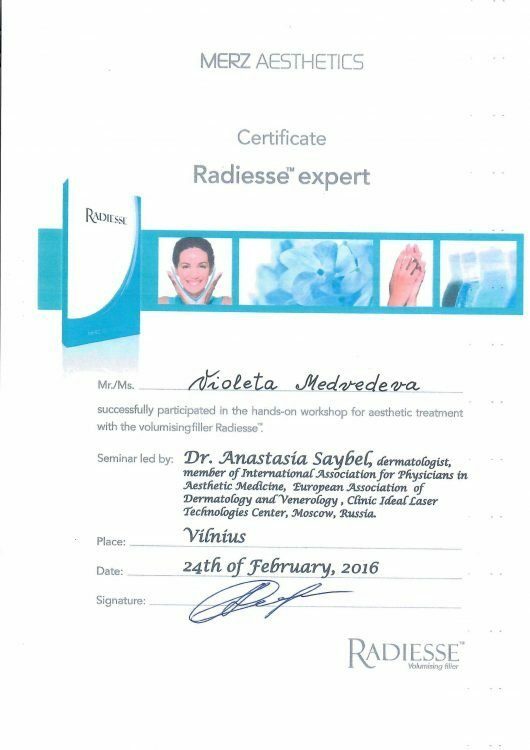 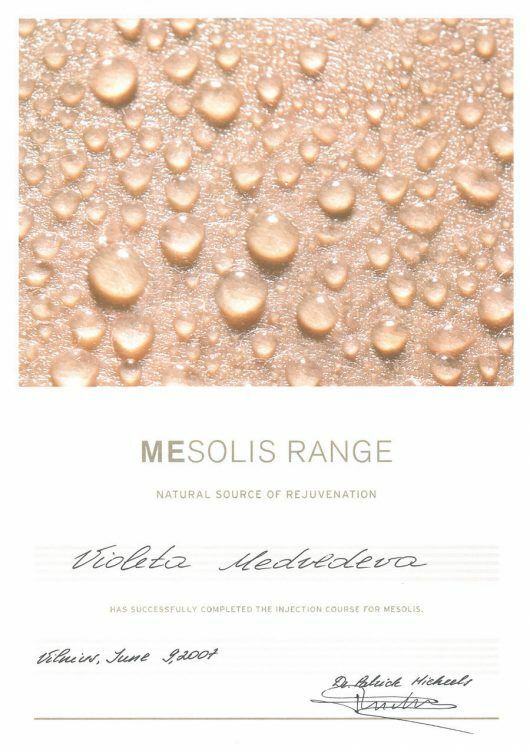 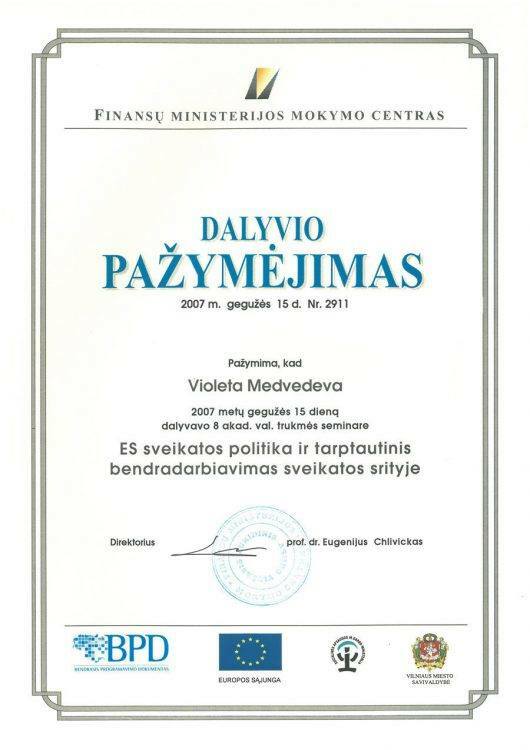 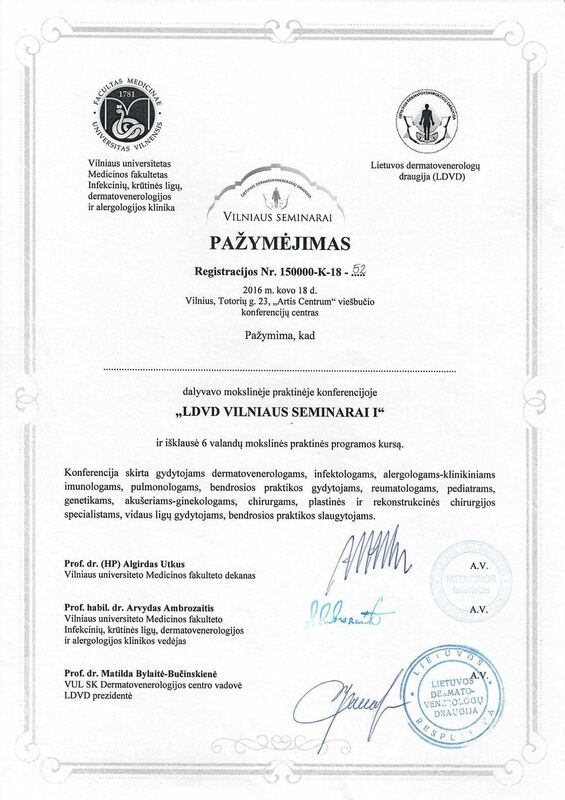 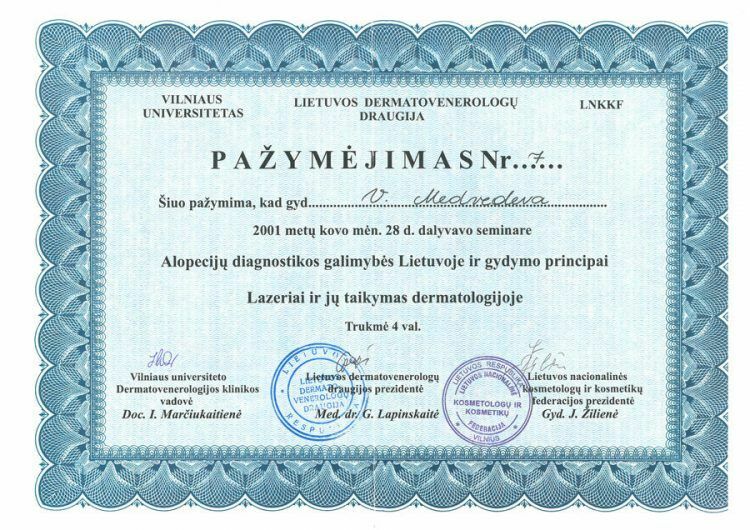 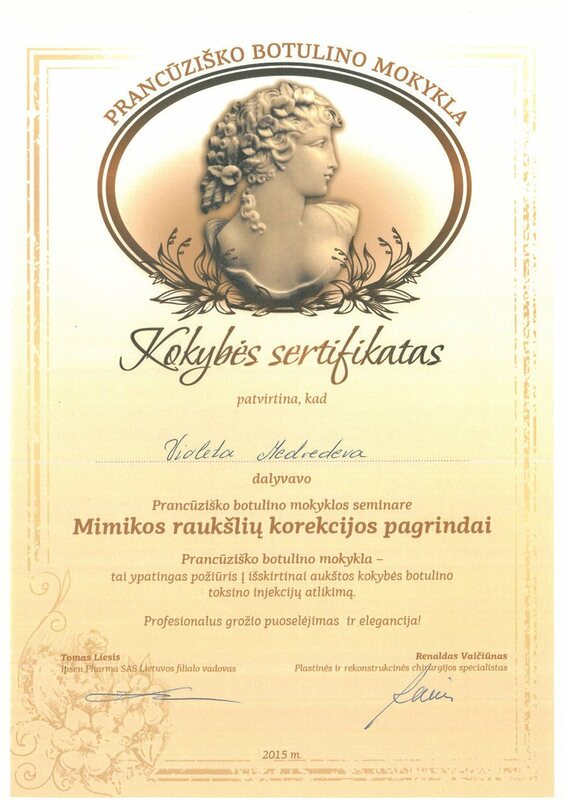 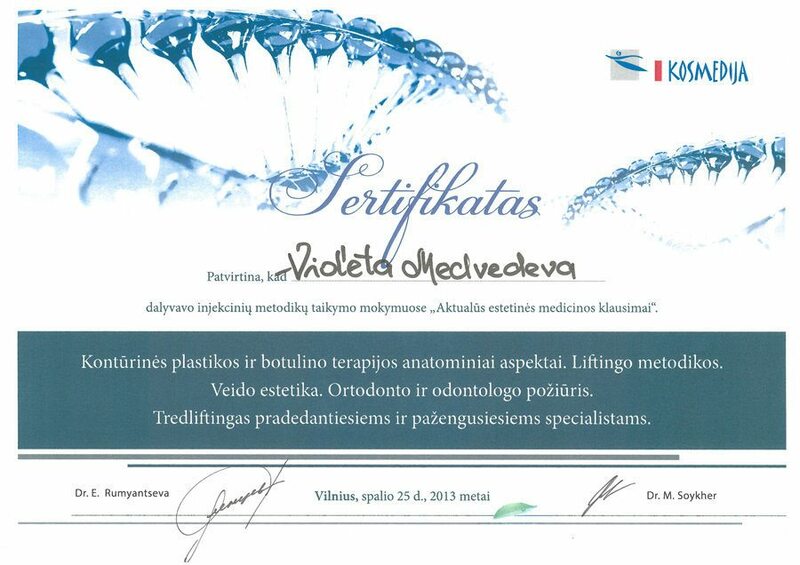 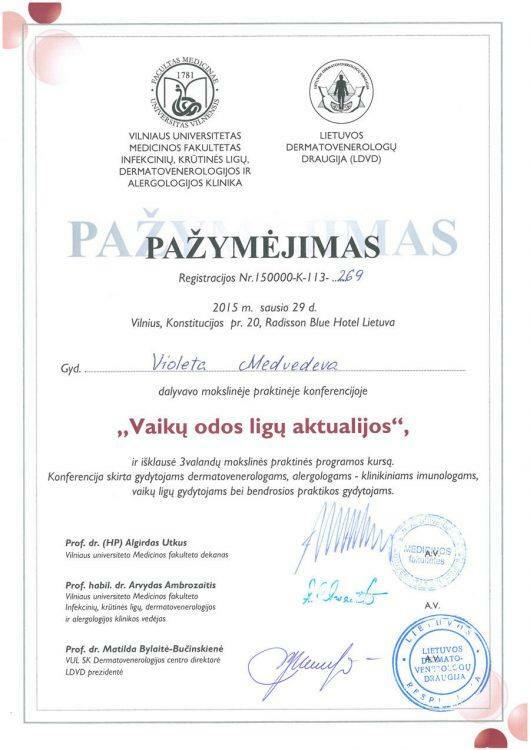 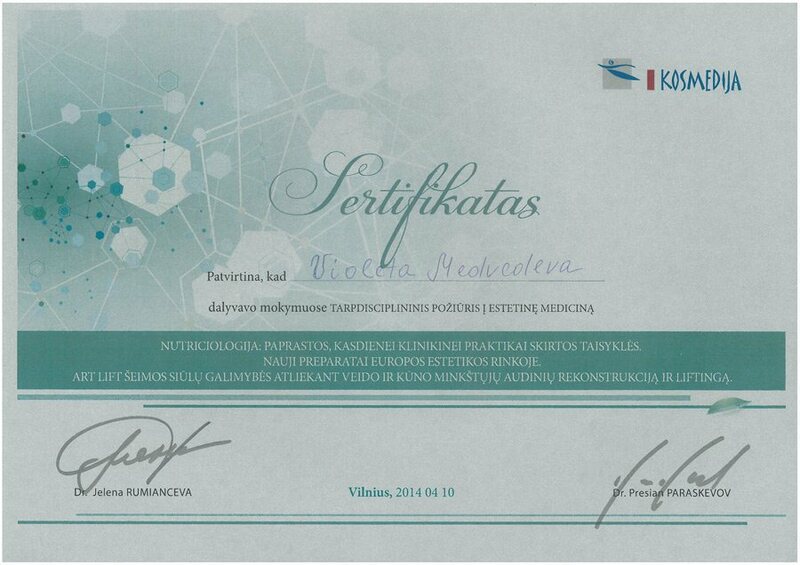 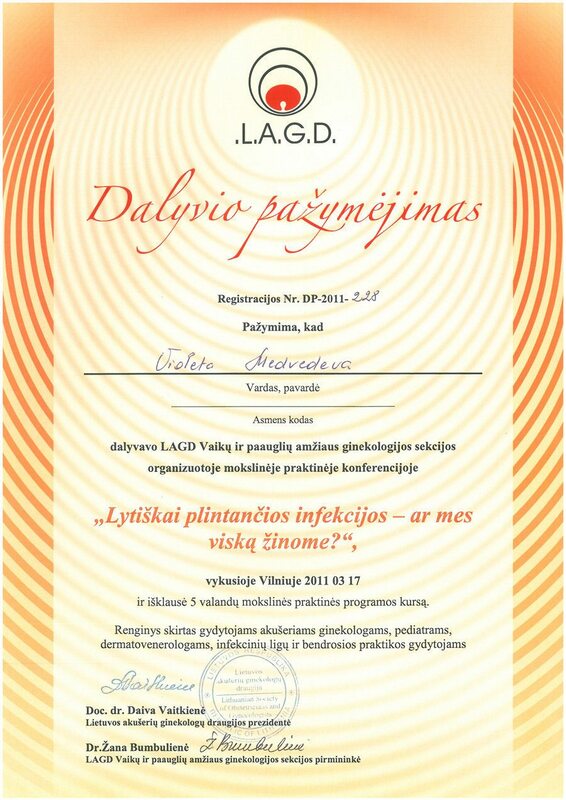 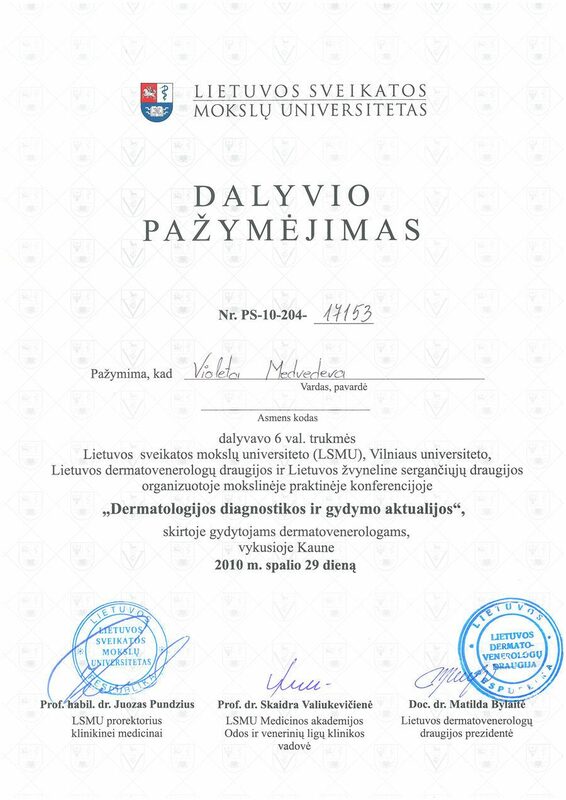 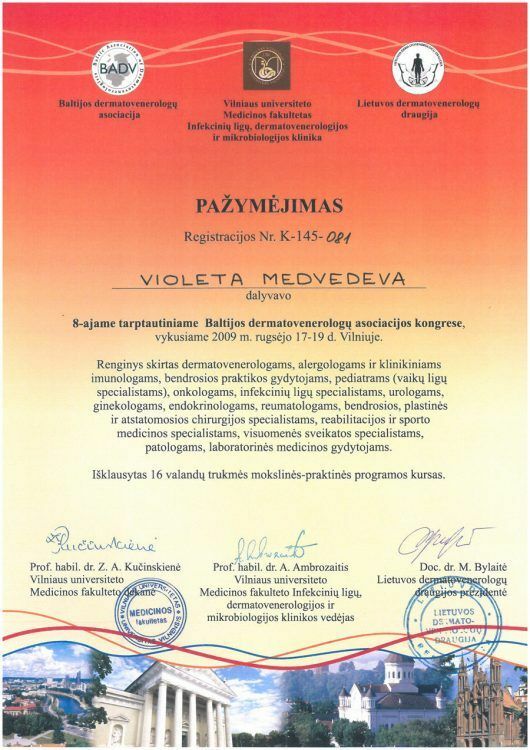 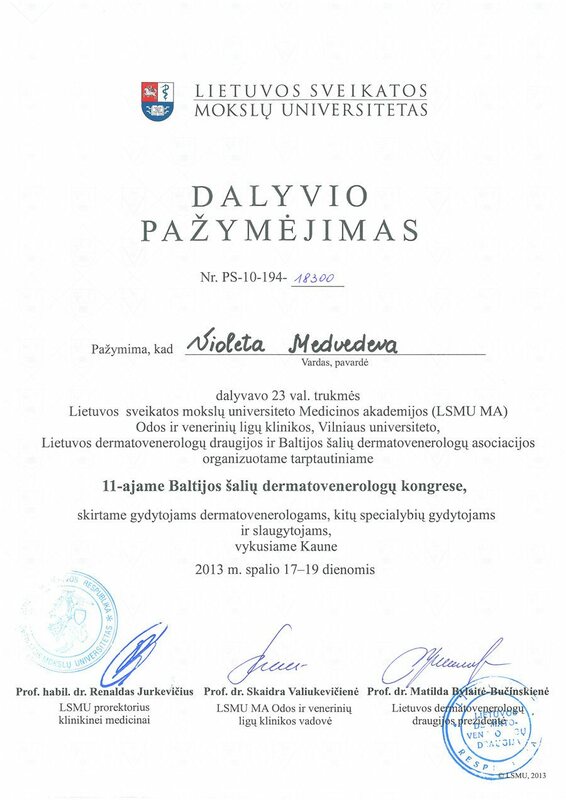 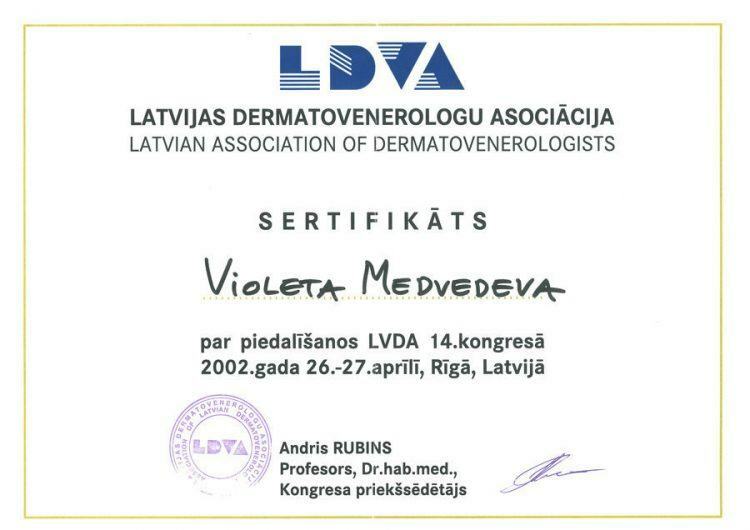 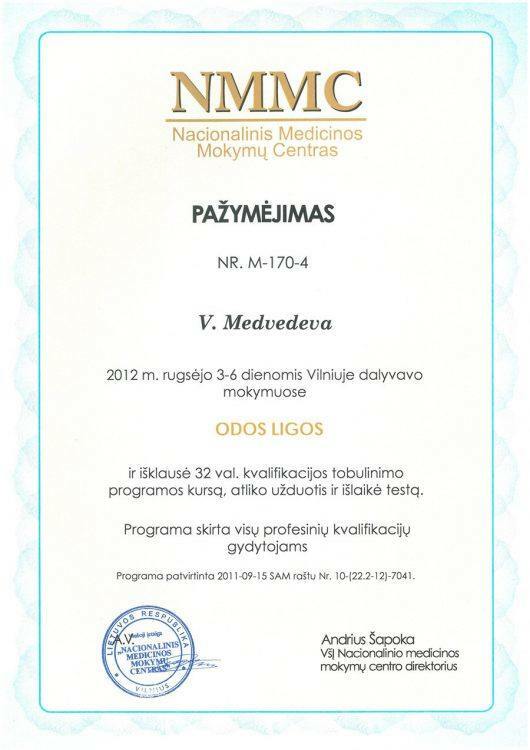 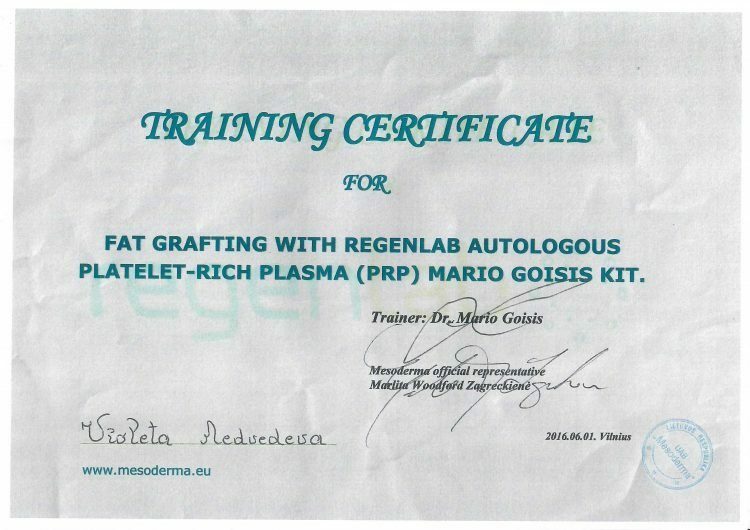 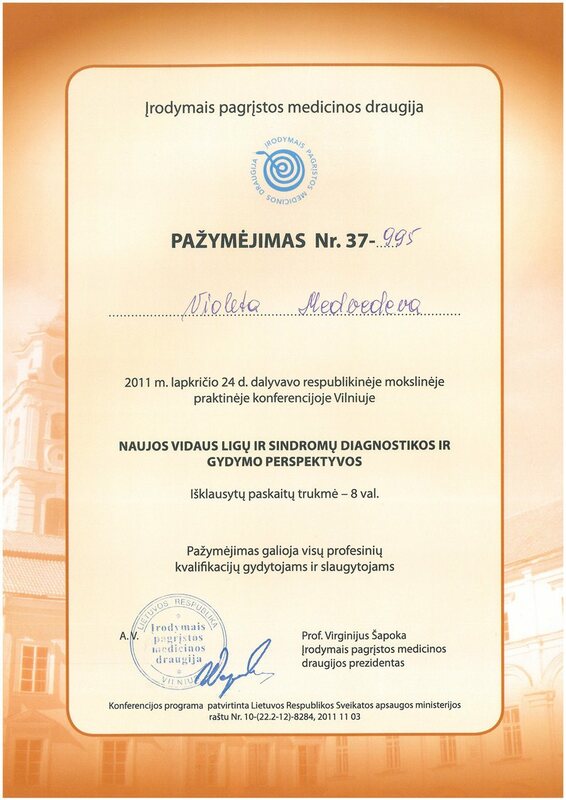 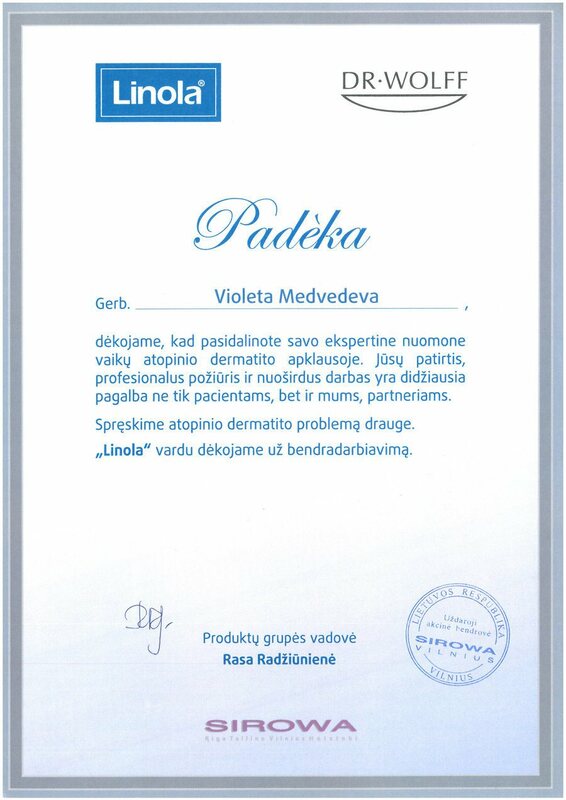 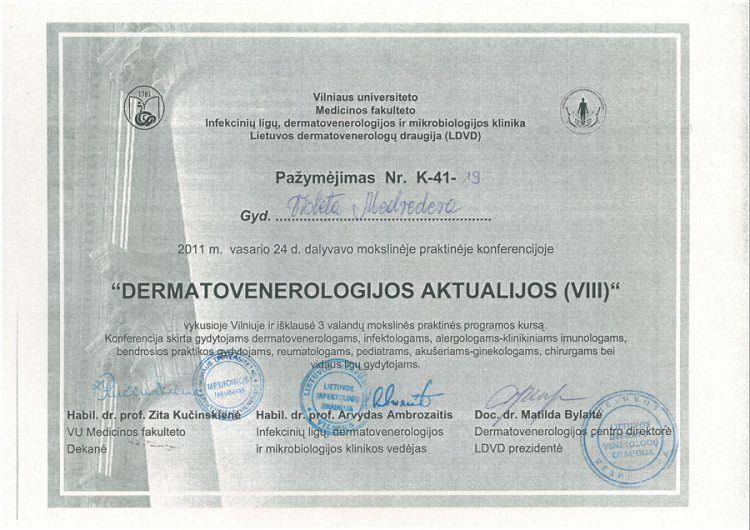 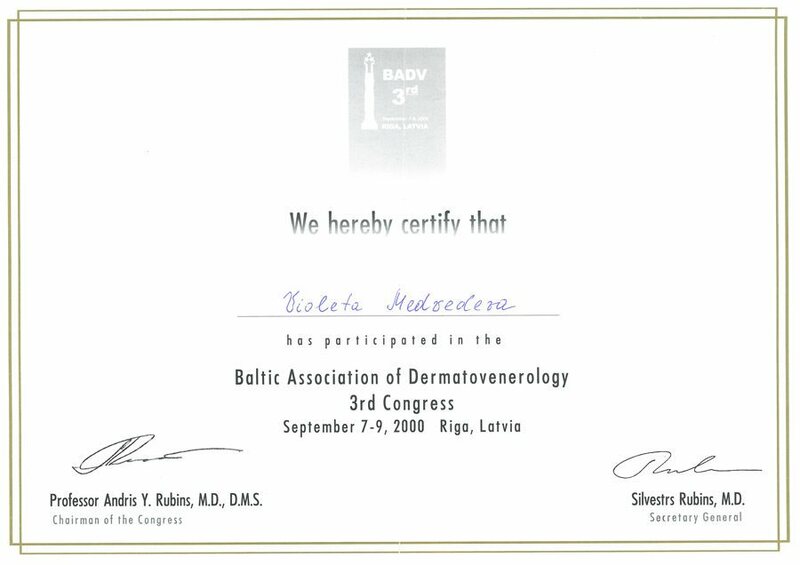 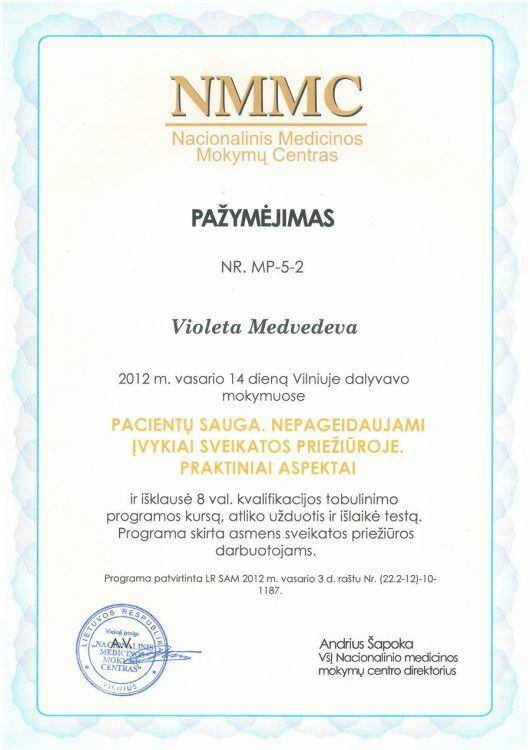 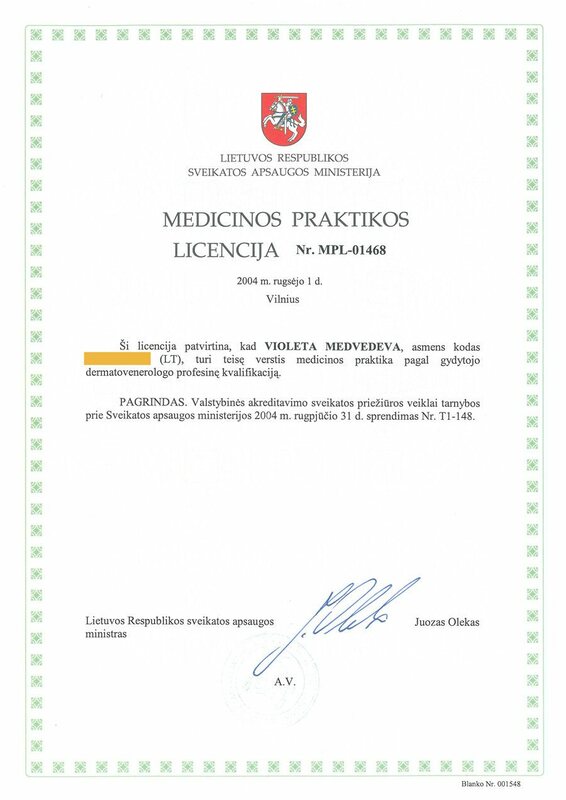 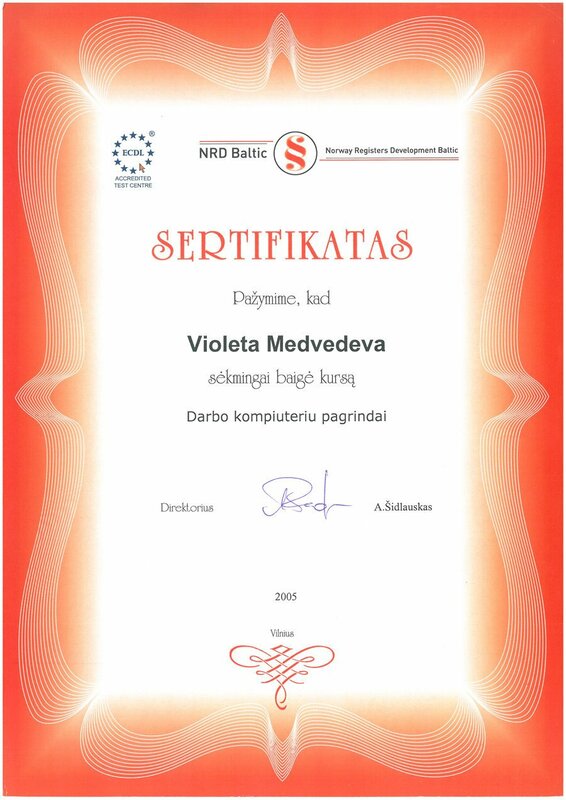 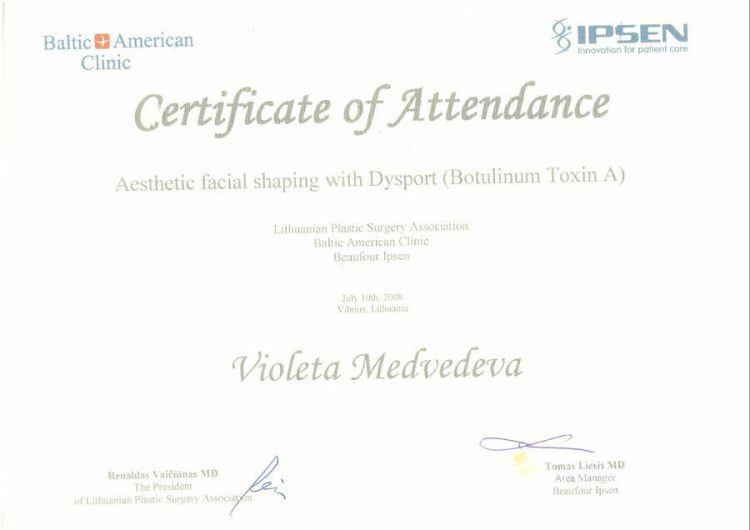 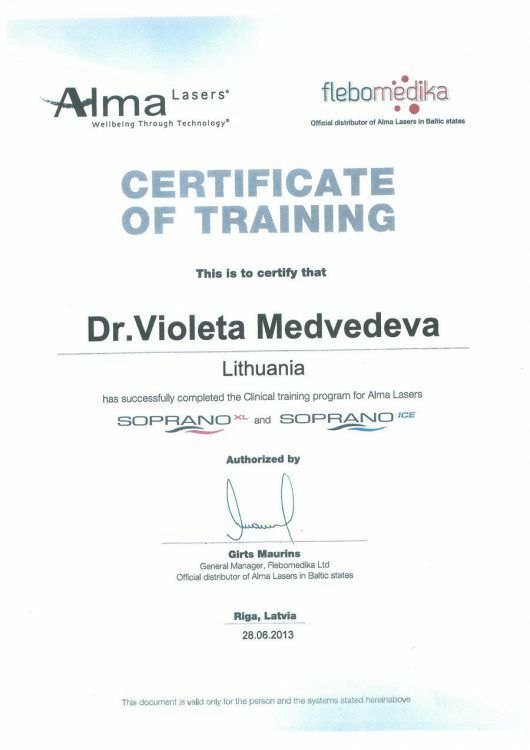 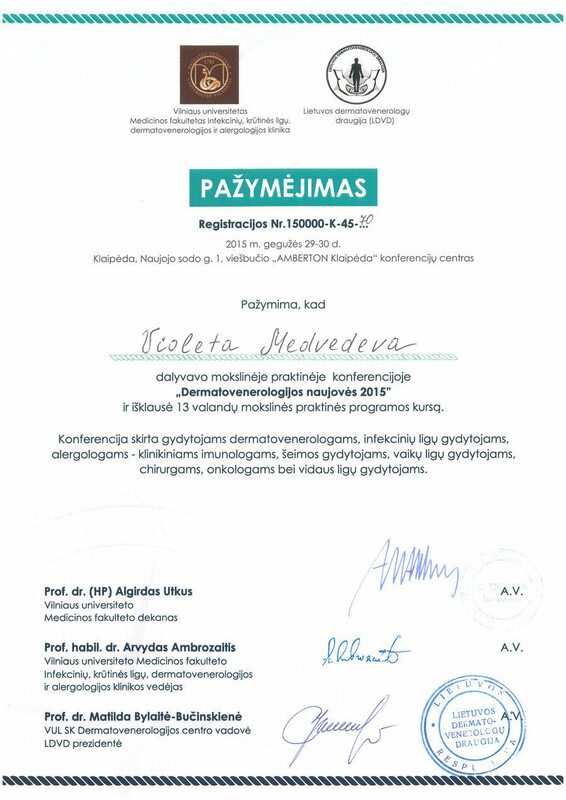 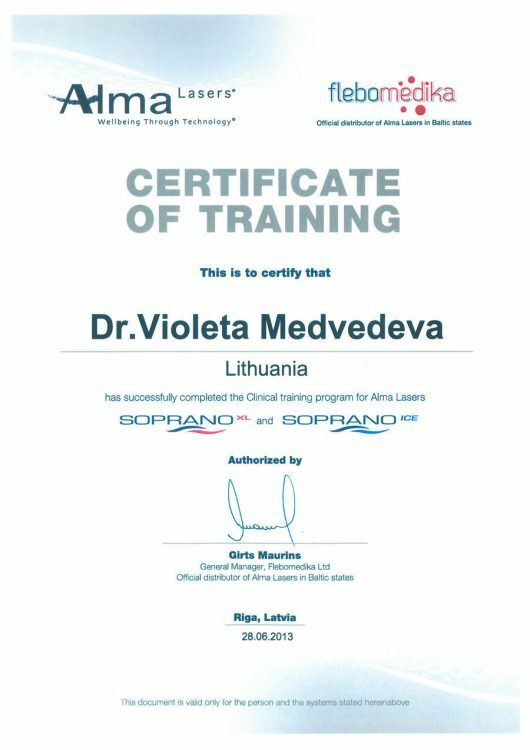 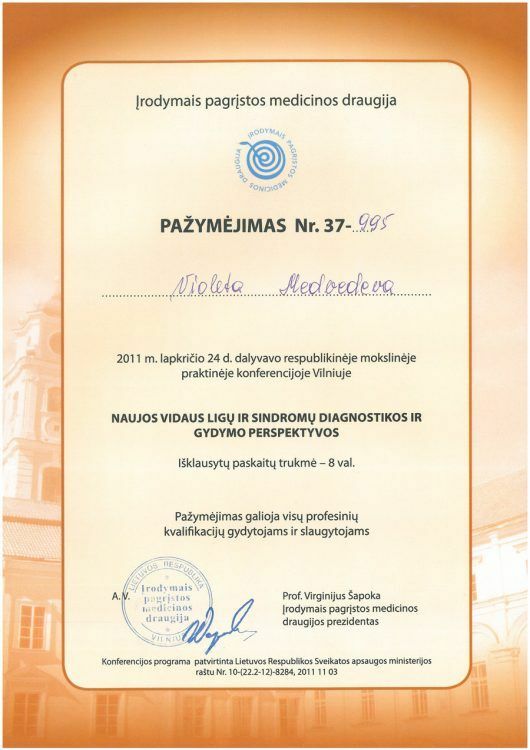 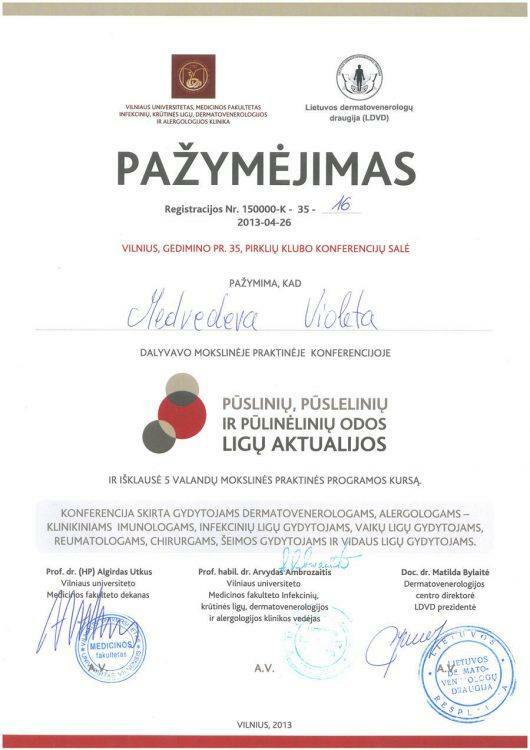 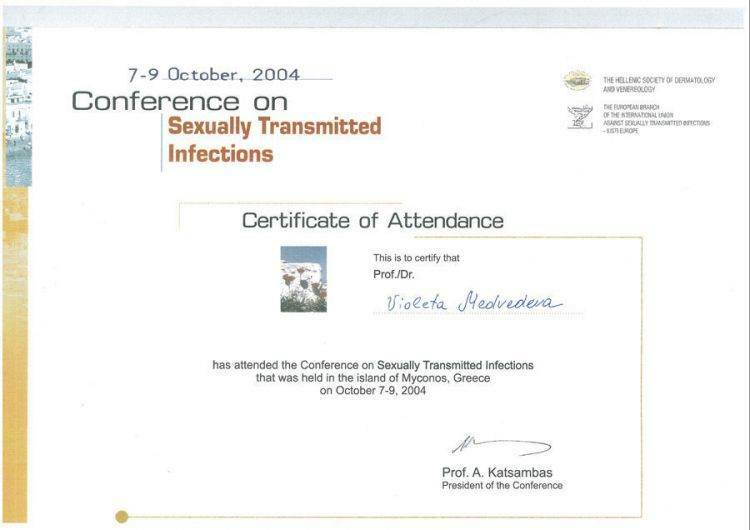 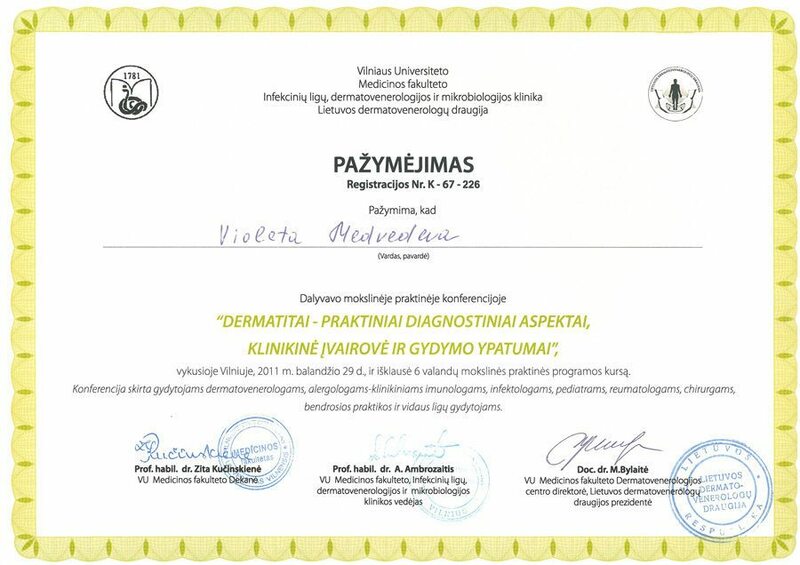 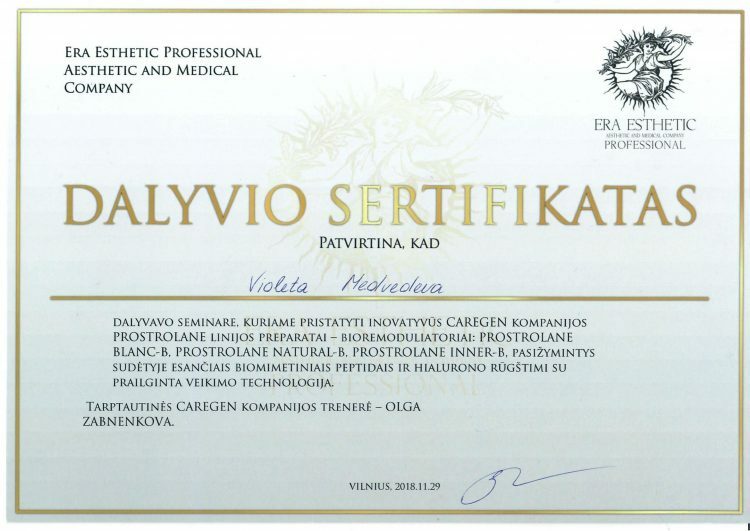 Member of the Lithuanian Association of Dermatovenereologists. 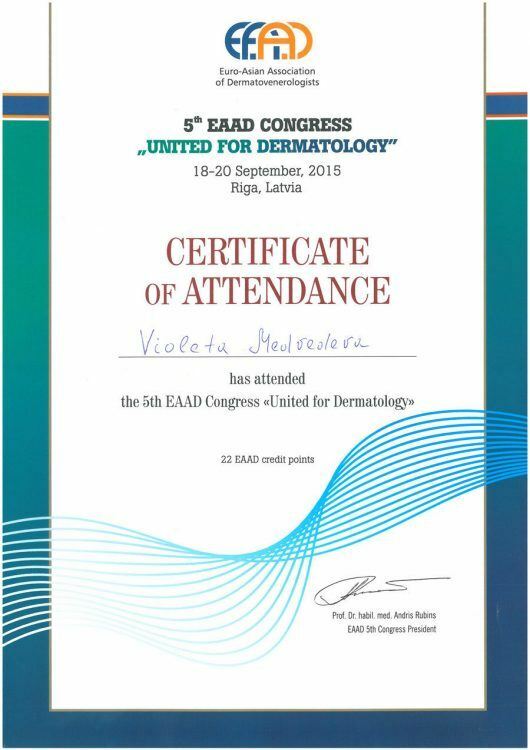 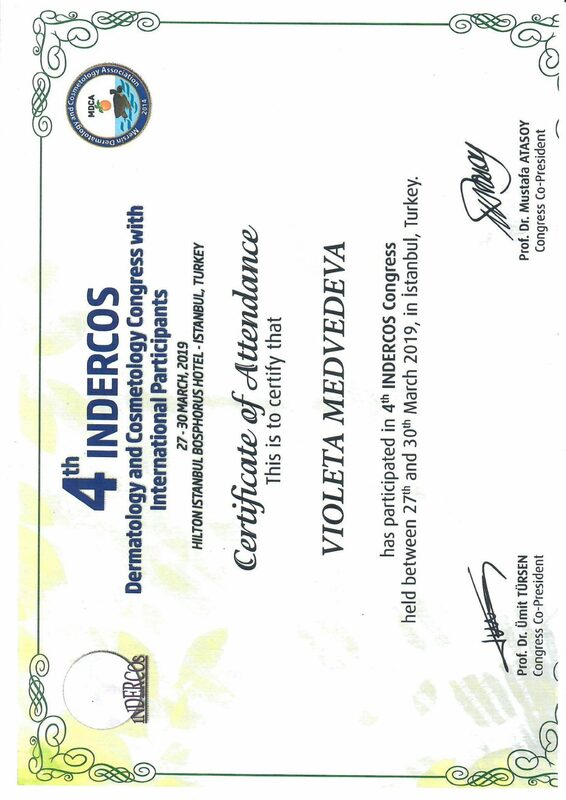 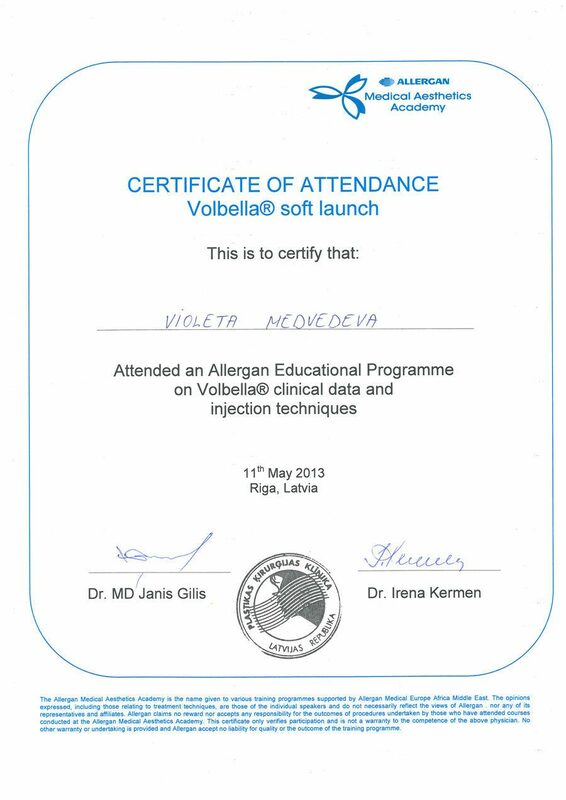 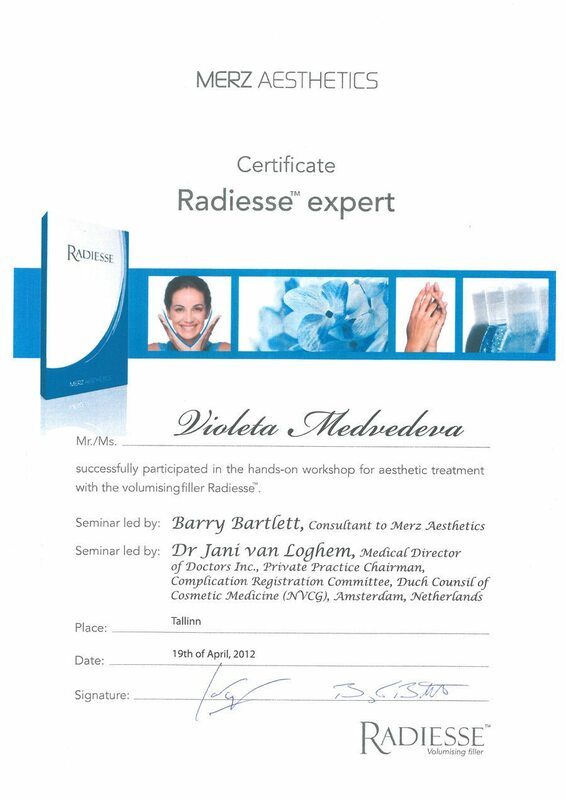 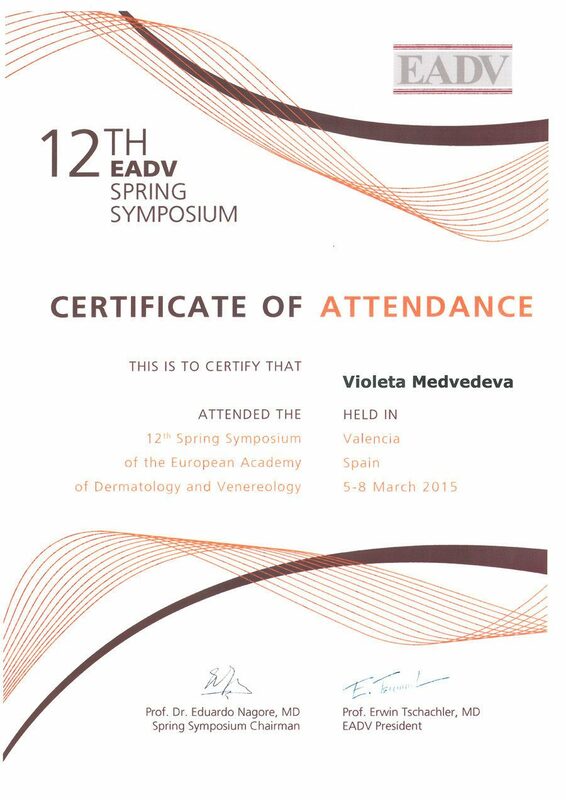 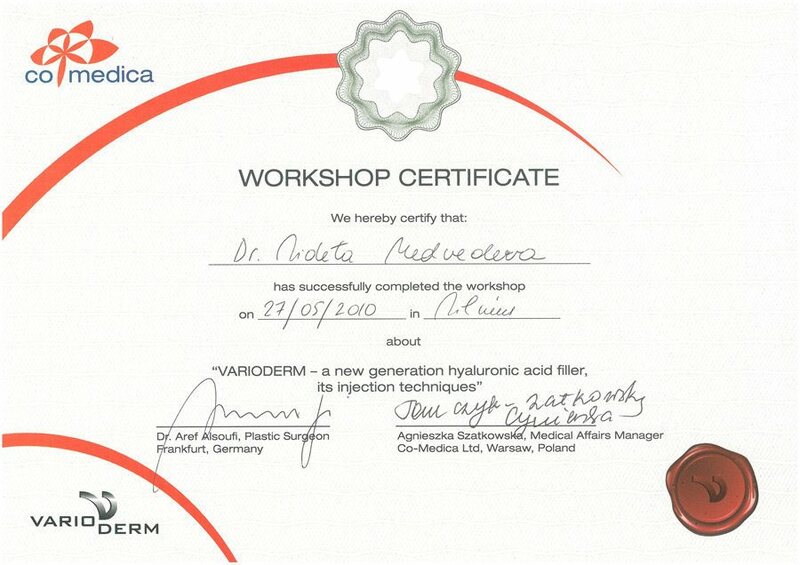 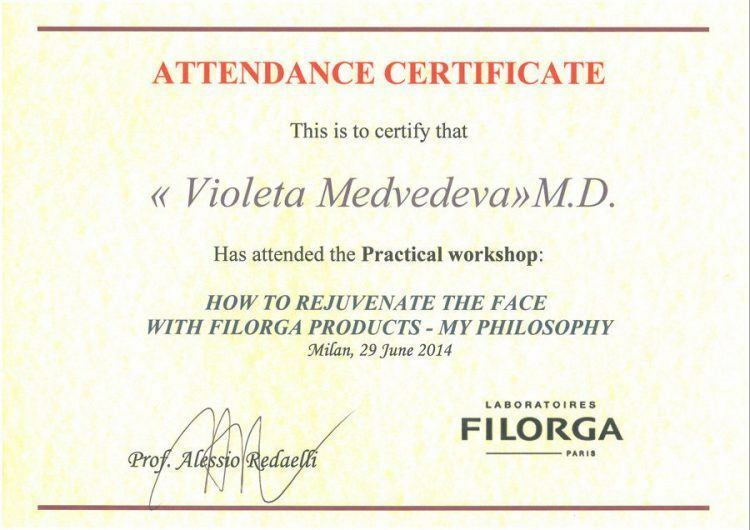 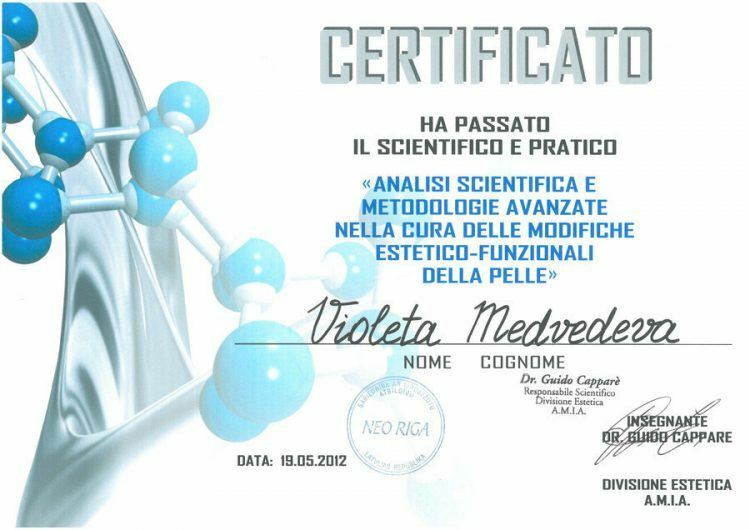 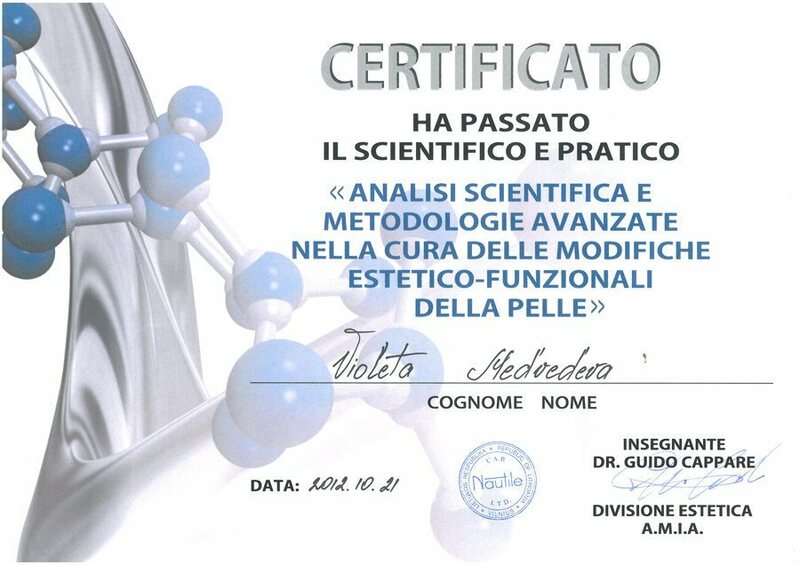 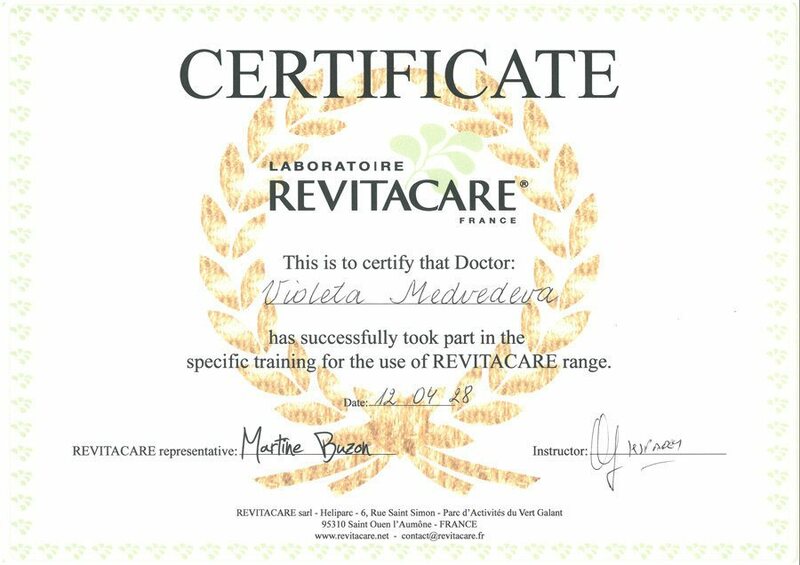 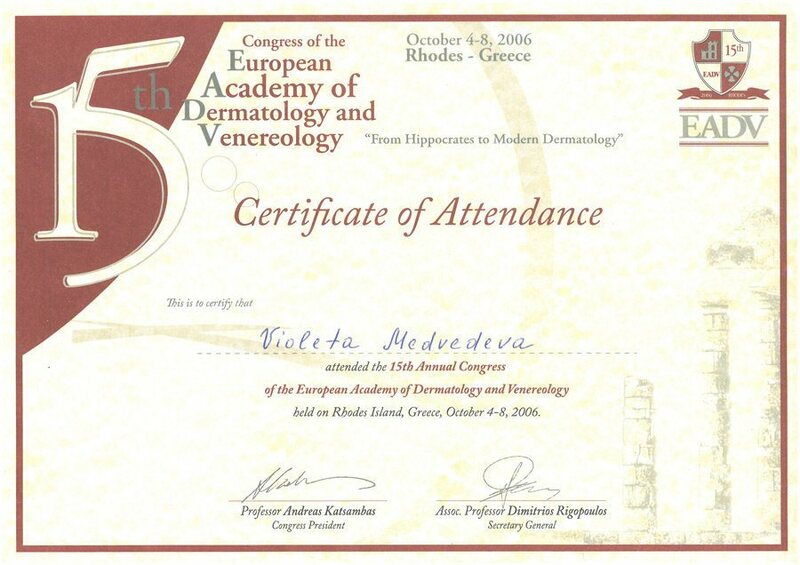 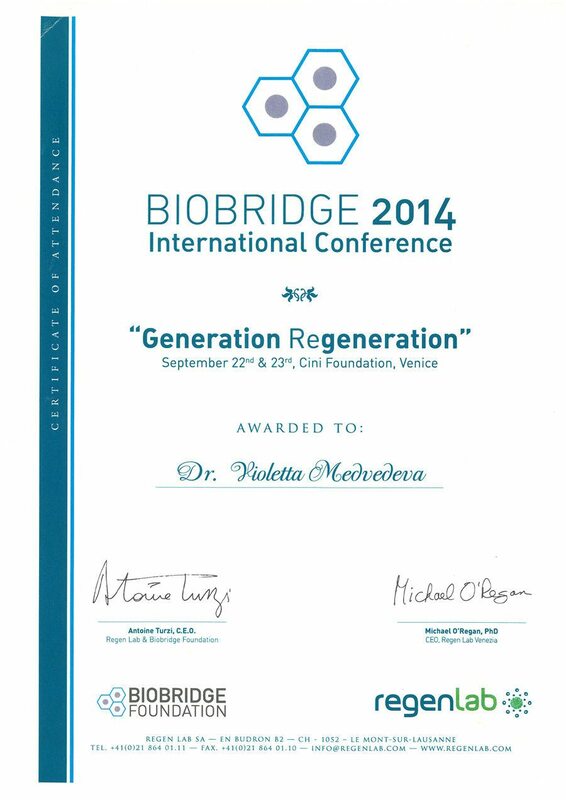 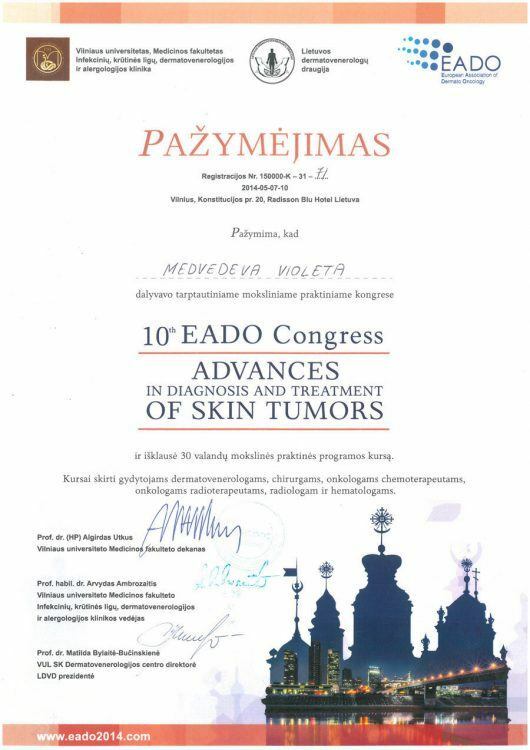 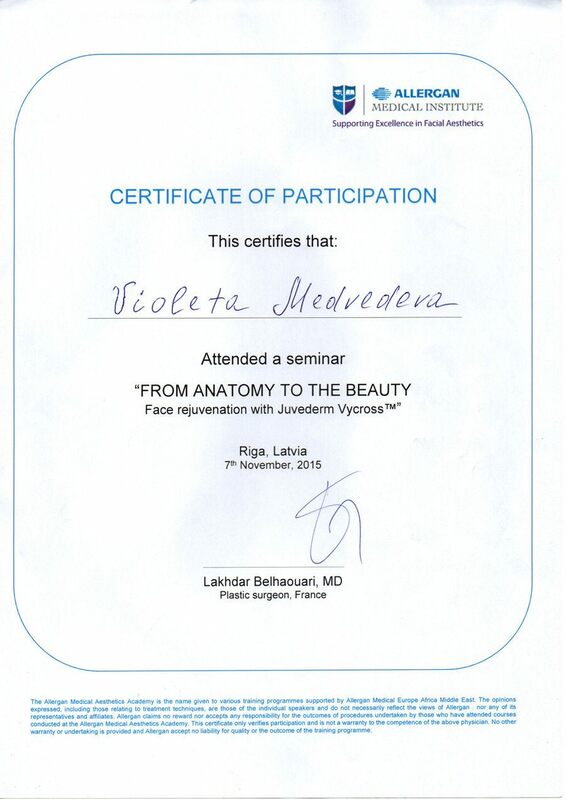 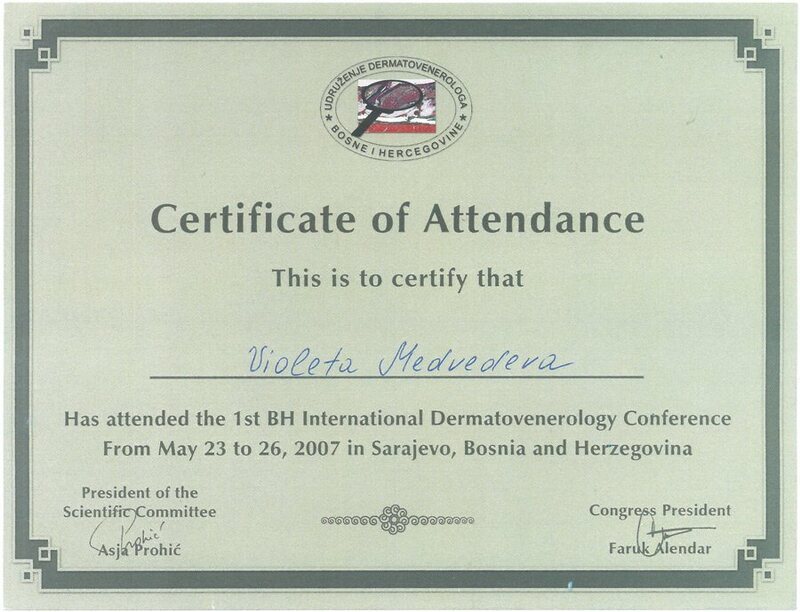 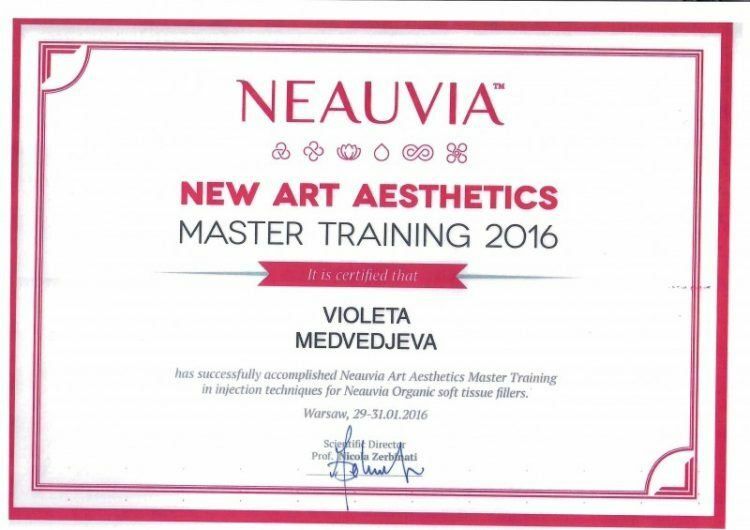 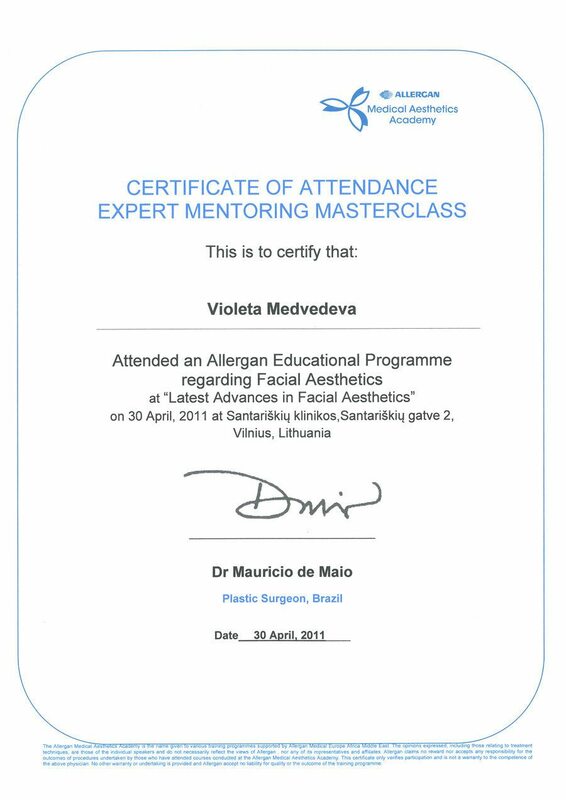 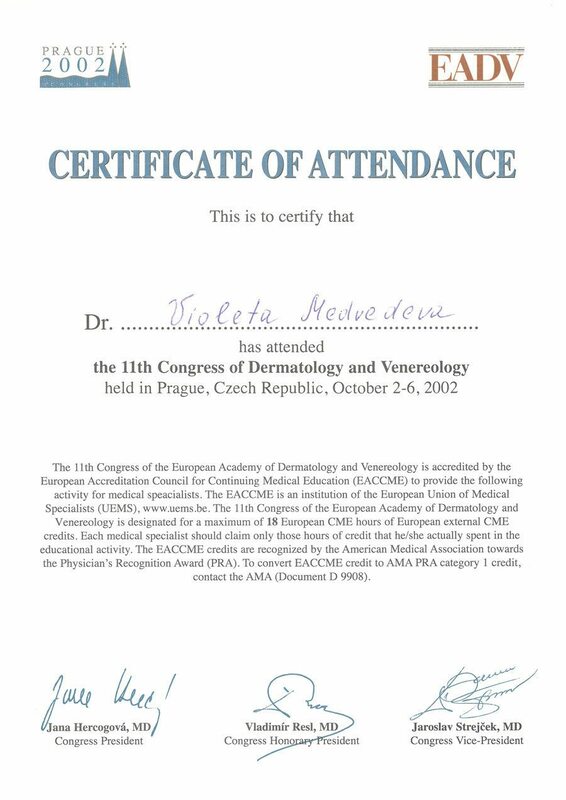 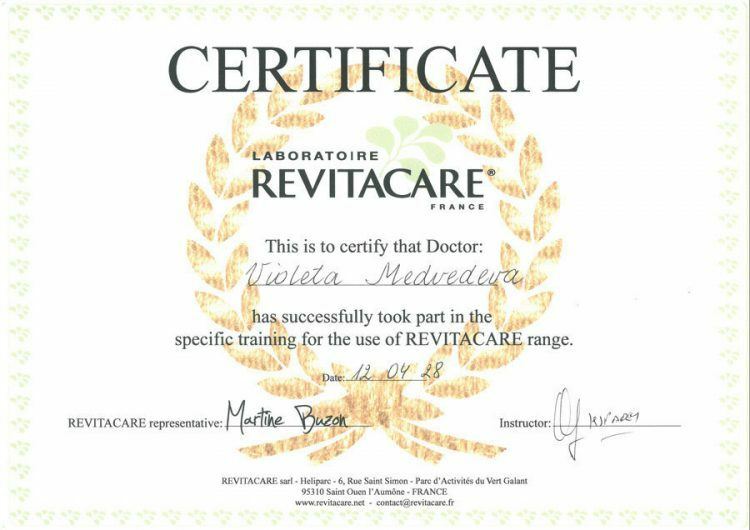 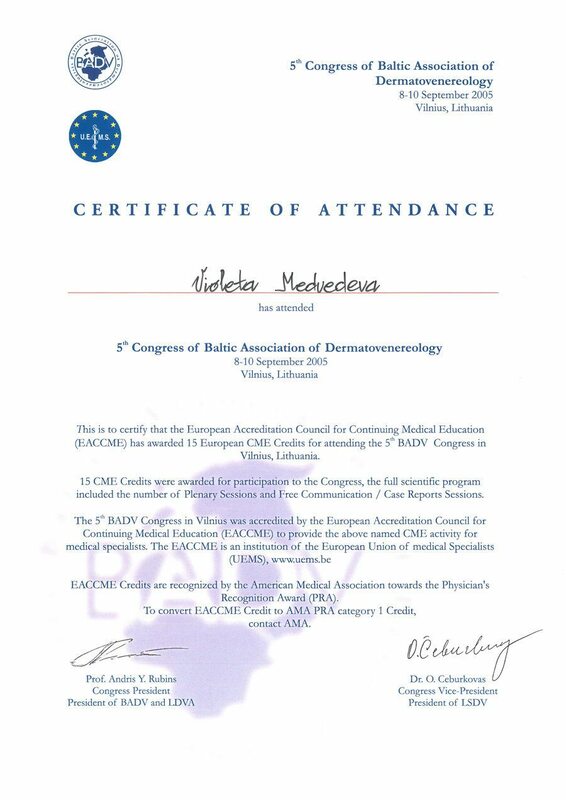 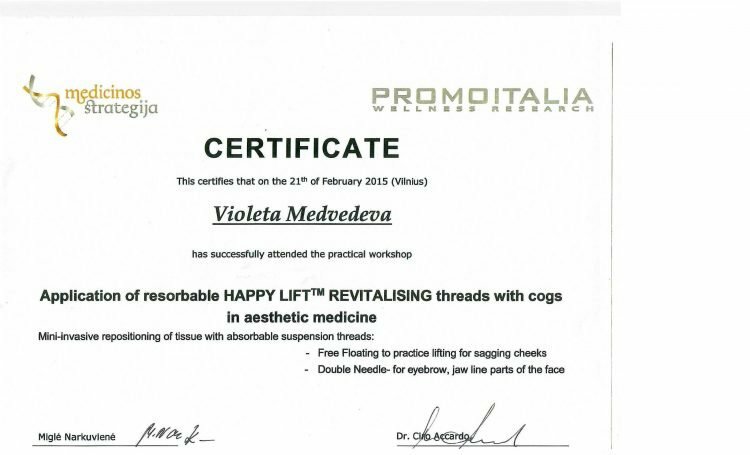 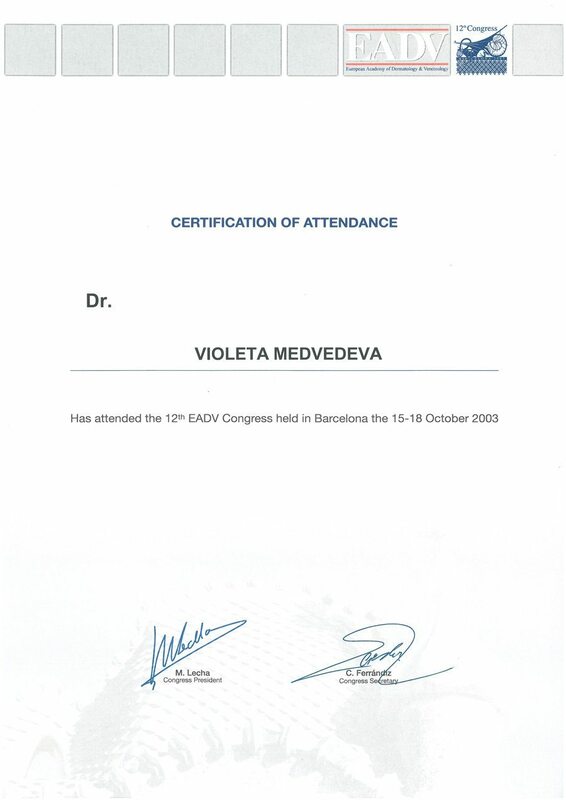 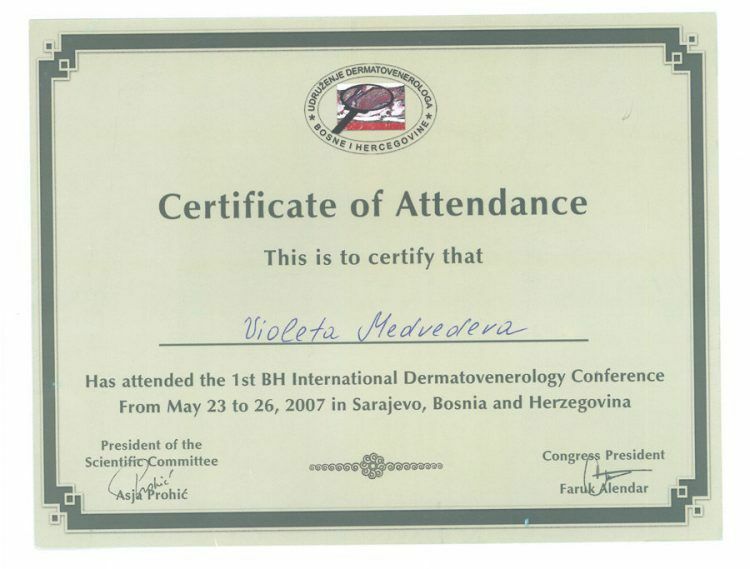 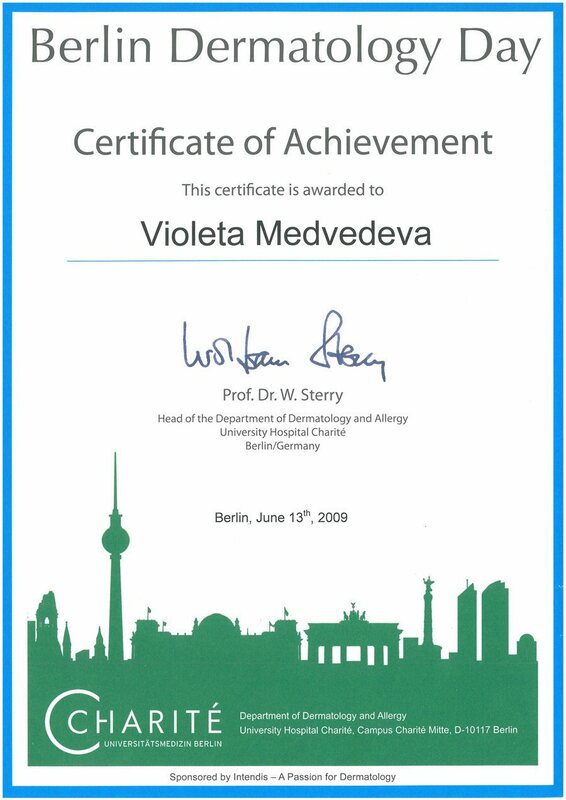 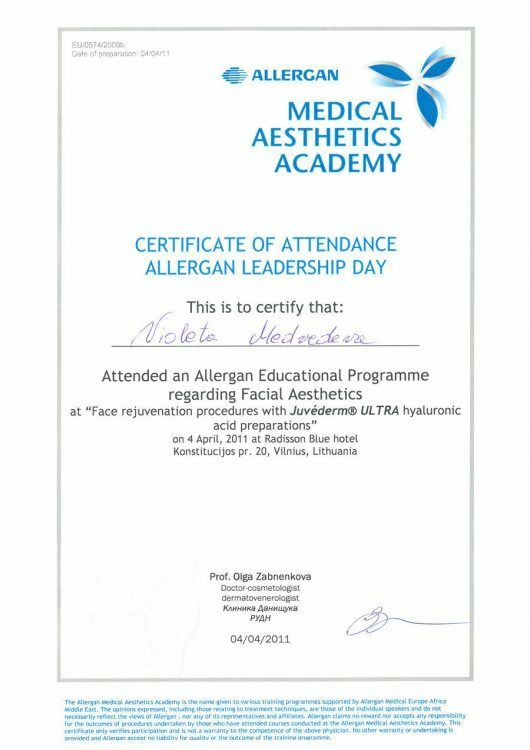 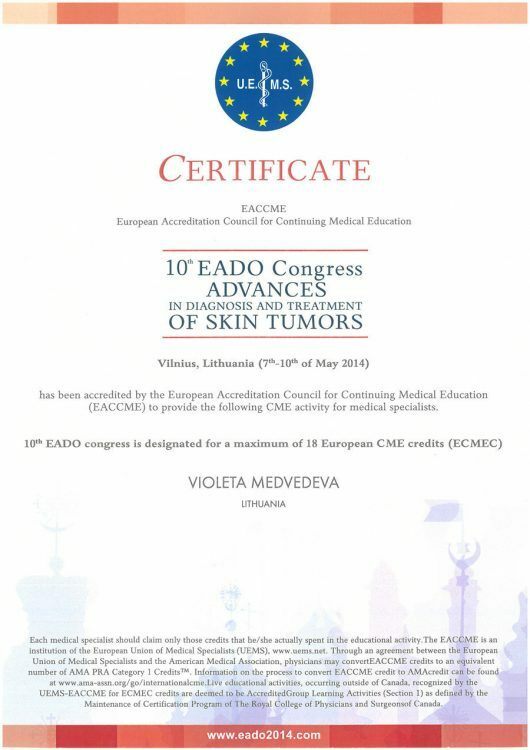 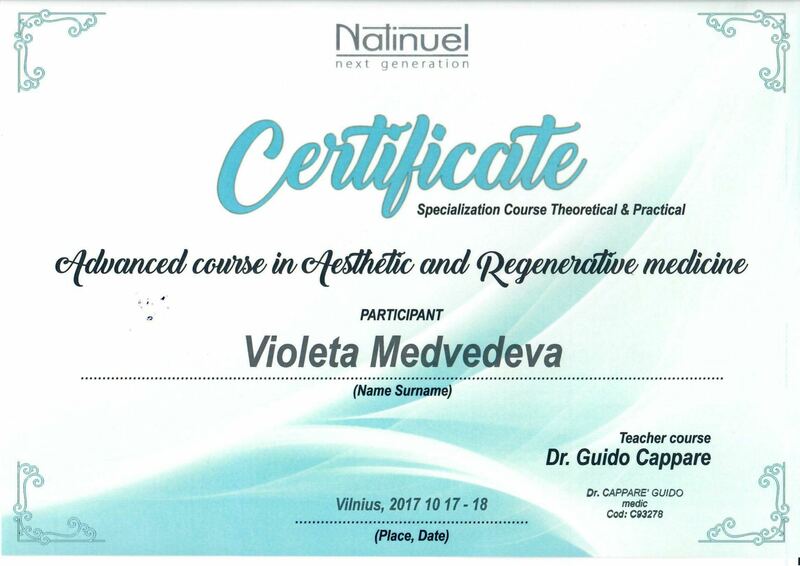 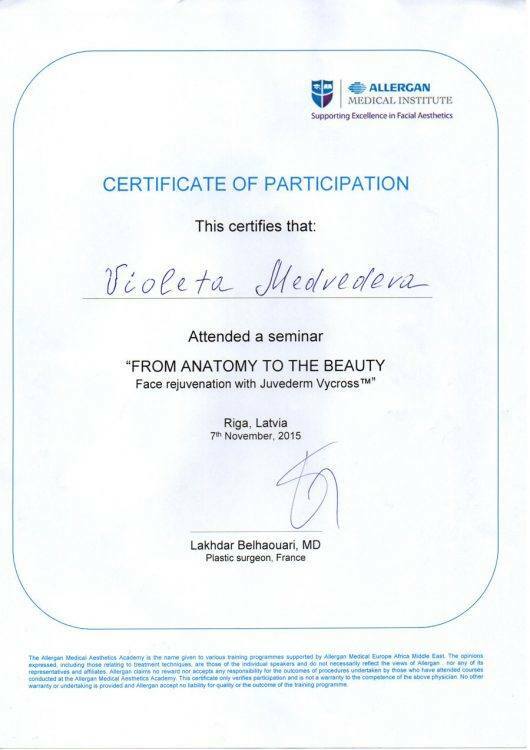 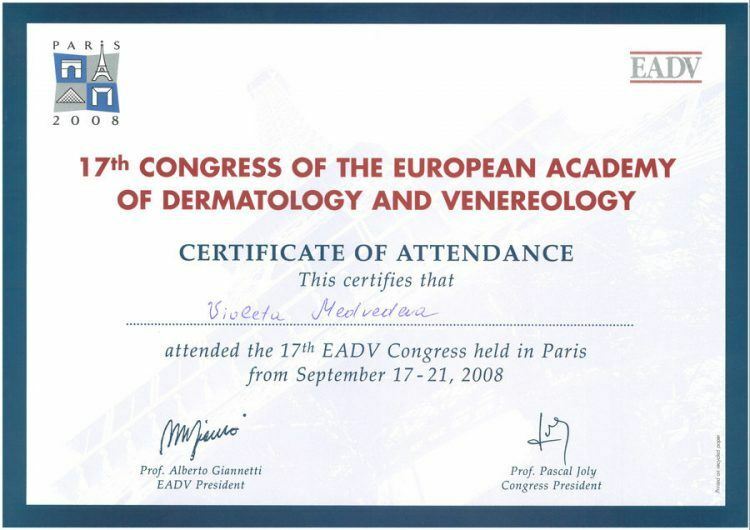 Member of the European Academy of Dermato-Venereology. 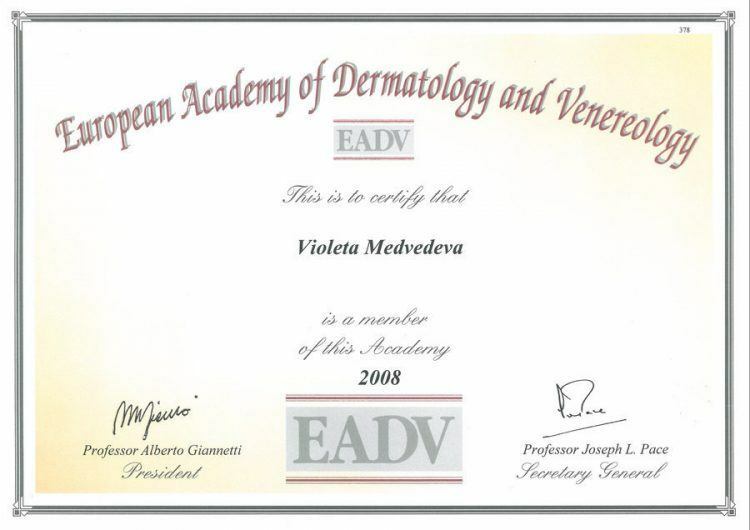 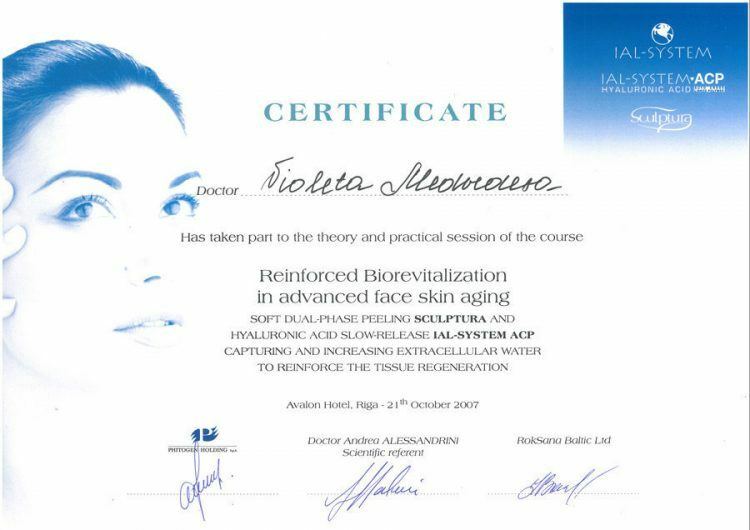 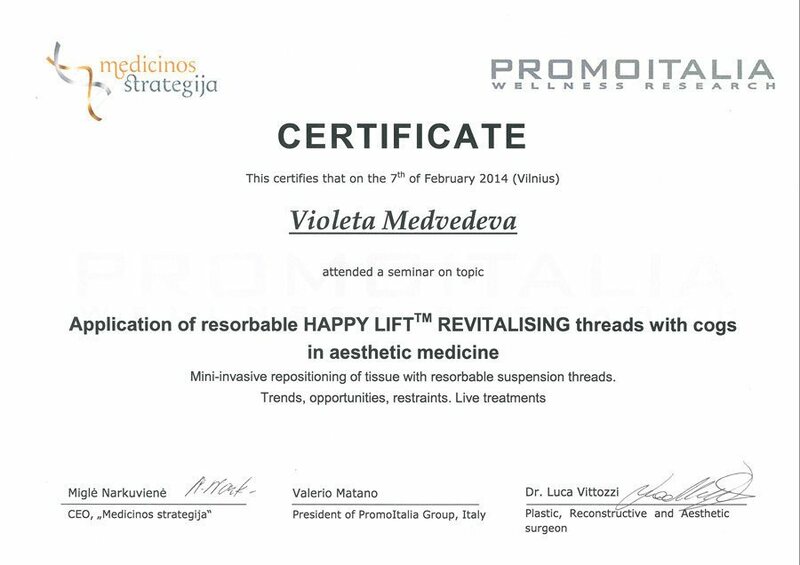 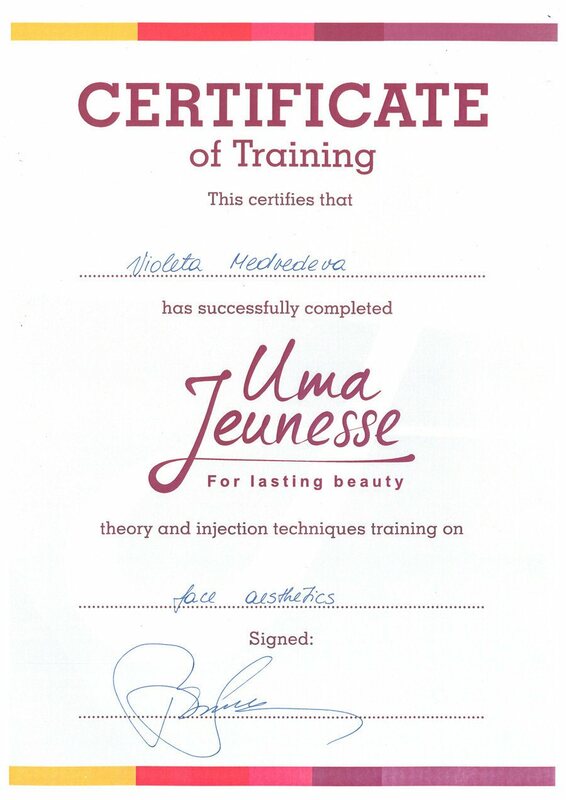 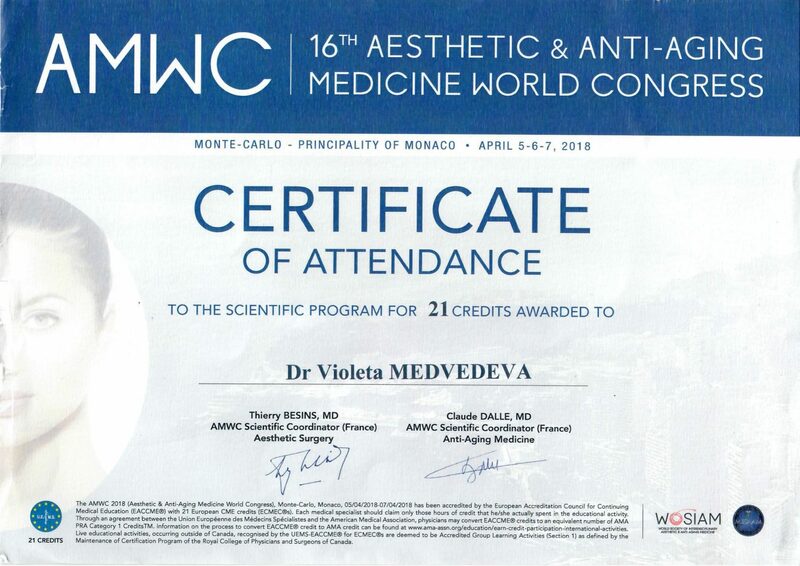 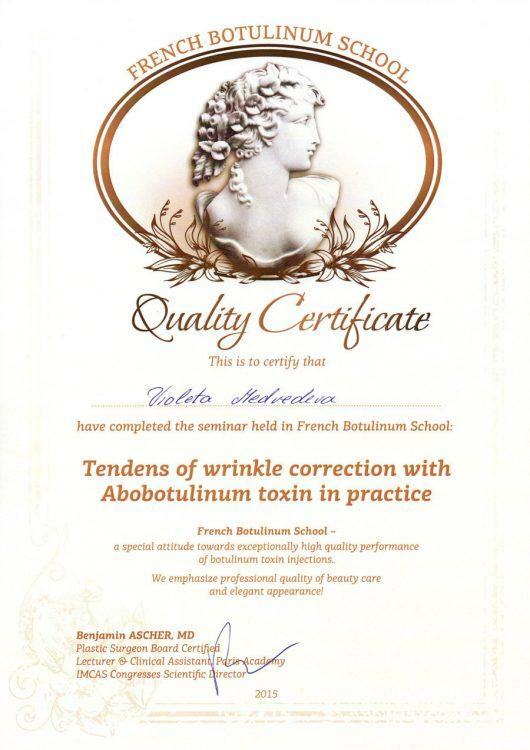 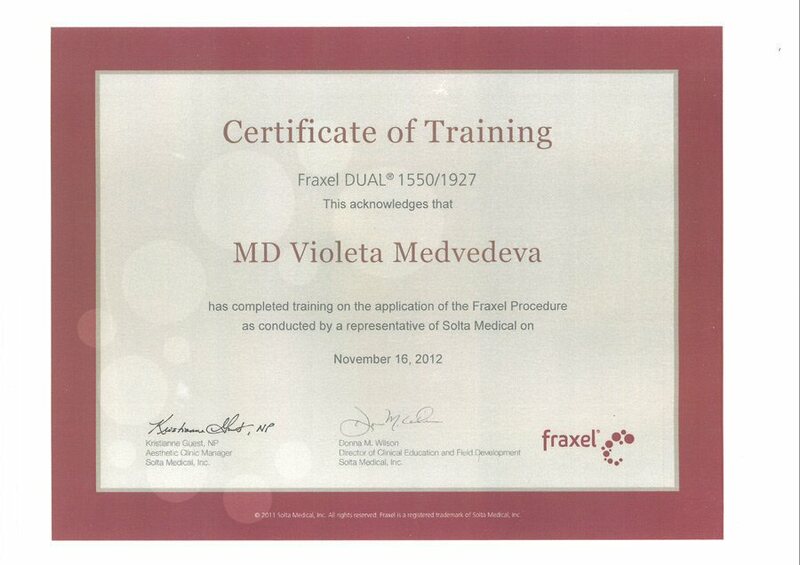 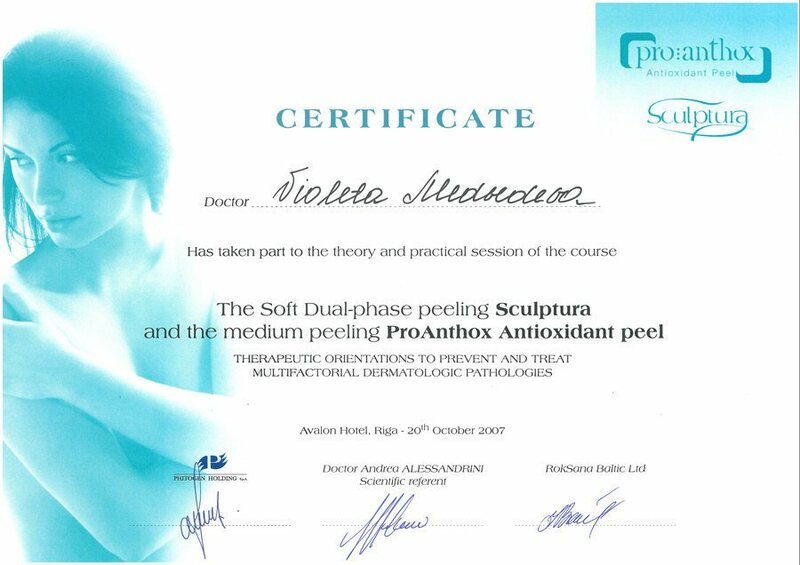 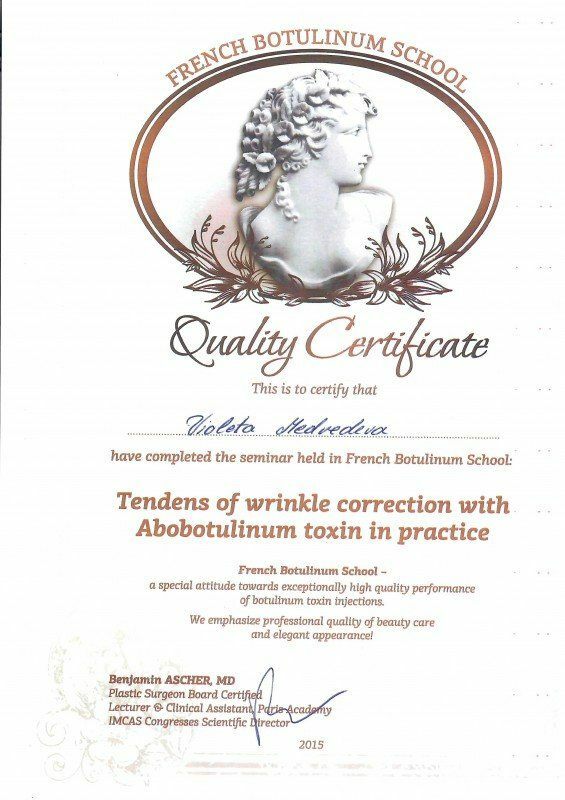 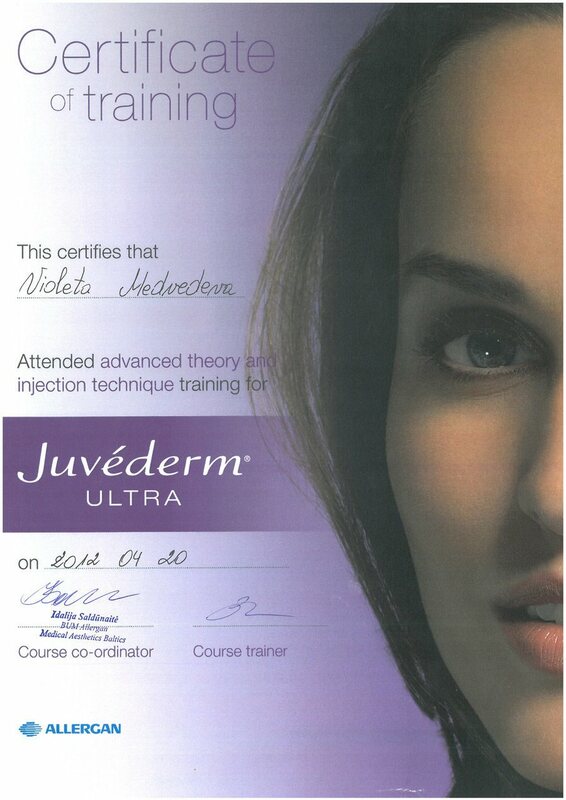 Sertificated in Aesthetic Medicine, Interventional Dermatology, Dermatoscopy. Internships and training courses in Riga (Latvia), Tallinn (Estonia), Barcelona (Spain), Paris (France), Sarajevo (Macedonia), Moscow (Russia), Berlin (Germany), Milan (Italy). 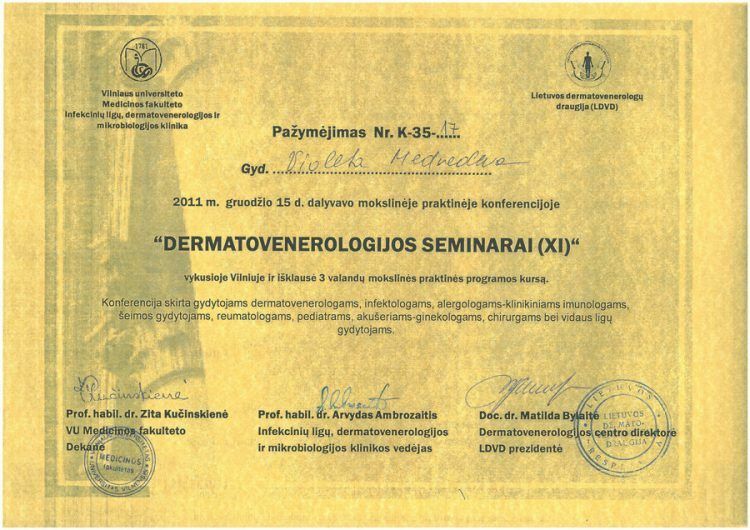 Dermato-Oncology, Dermatovenerology, Aesthetic and Laser Dermatology, Laser Surgery. 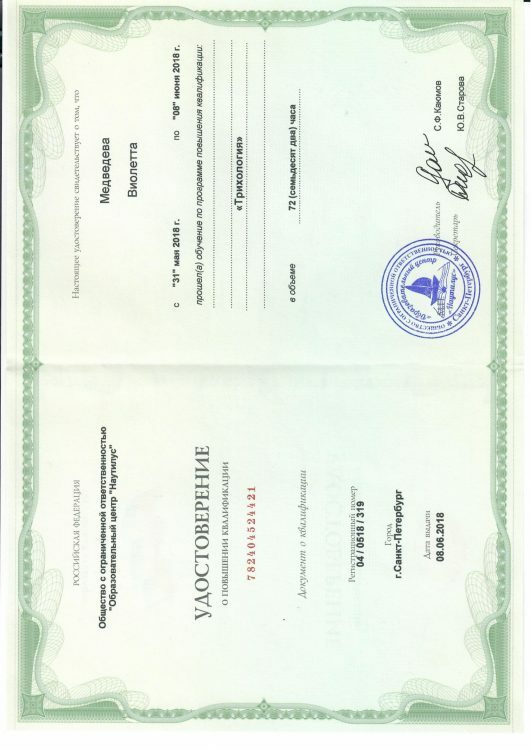 Graduated from Yakutia (Russia) State University Faculty of Medicine. Dermatovenerology doctor at Skin and Venereal Diseases Dispensary of Yakutsk city (Russia). 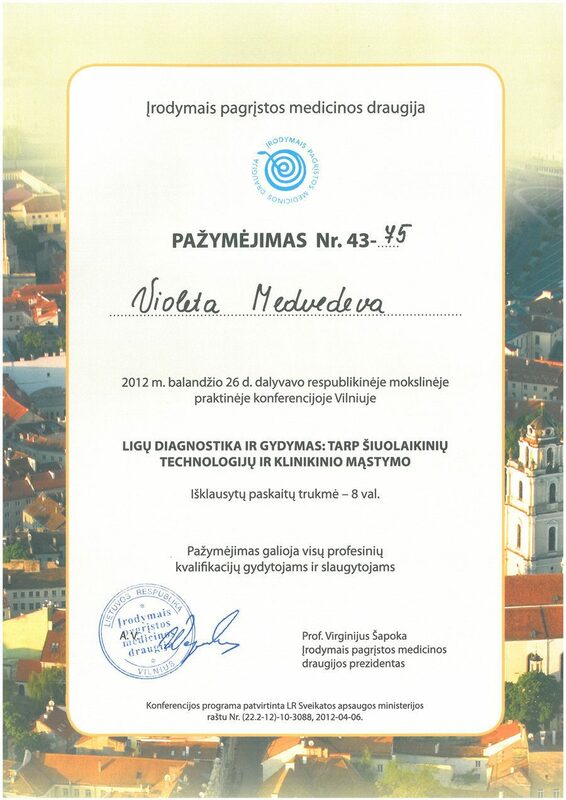 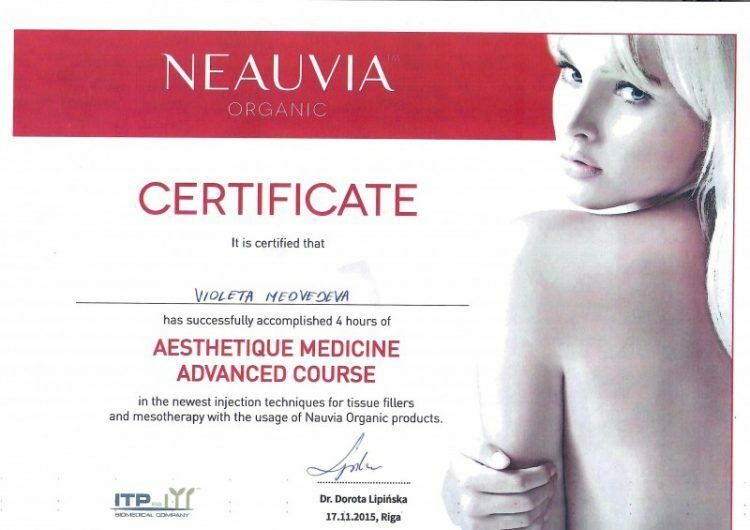 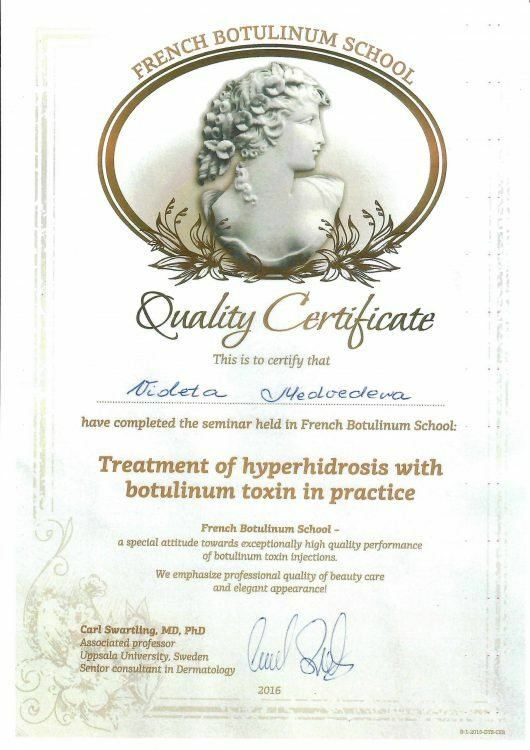 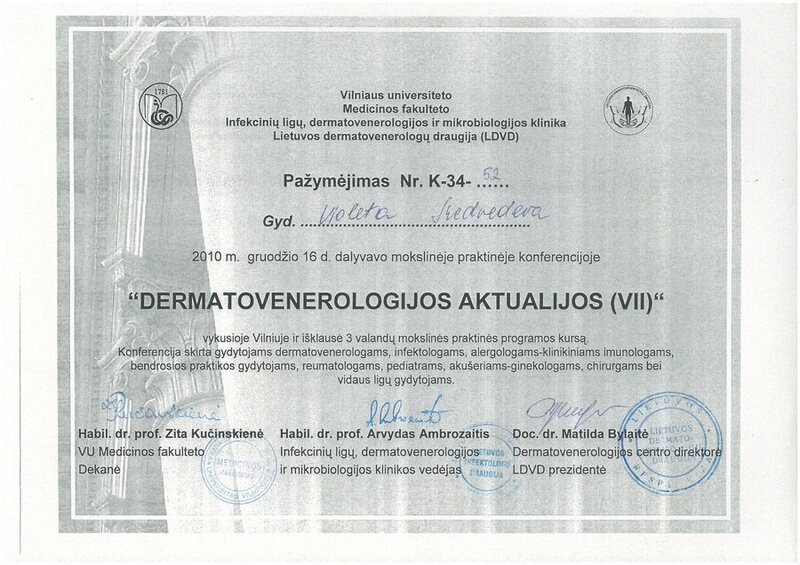 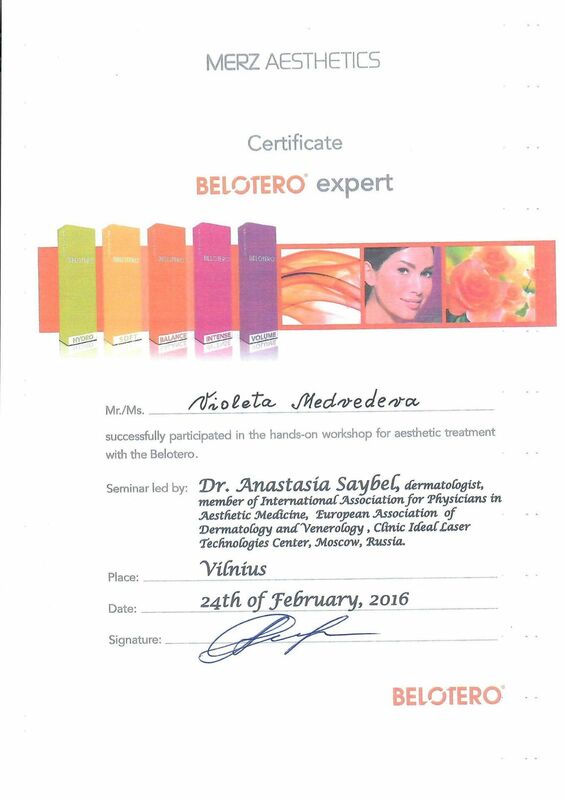 Dermatovenerology doctor at NGO Center of Skin and Venereal Diseases of Vilnius City. Manager of the Department of Skin and Venereal Diseases. 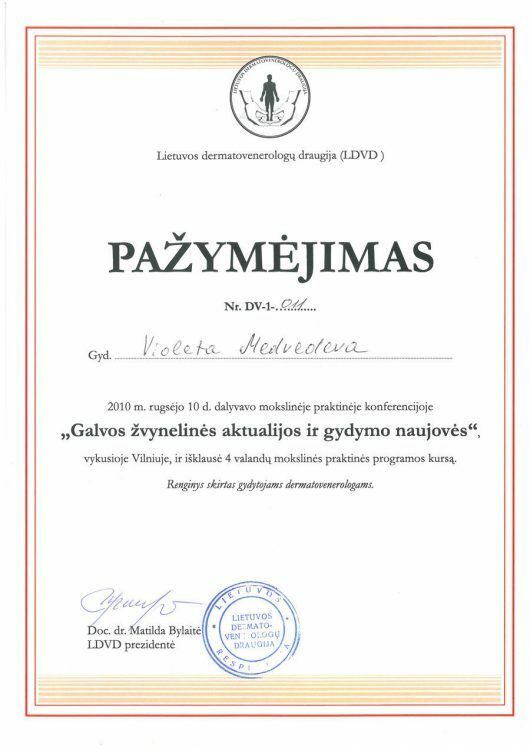 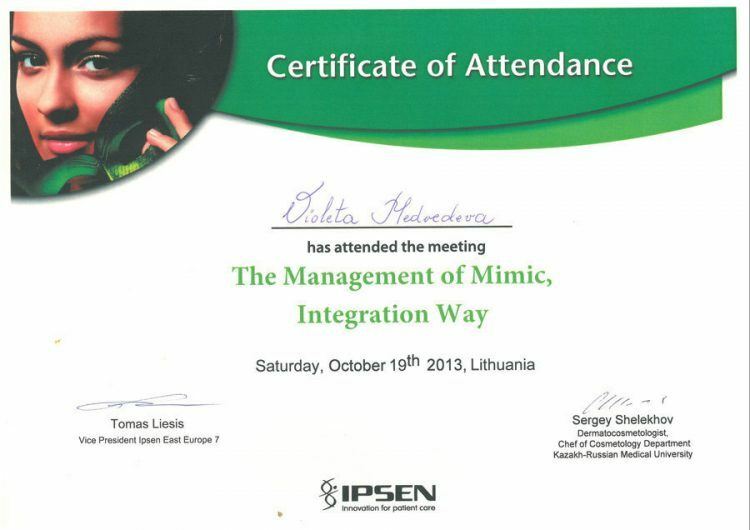 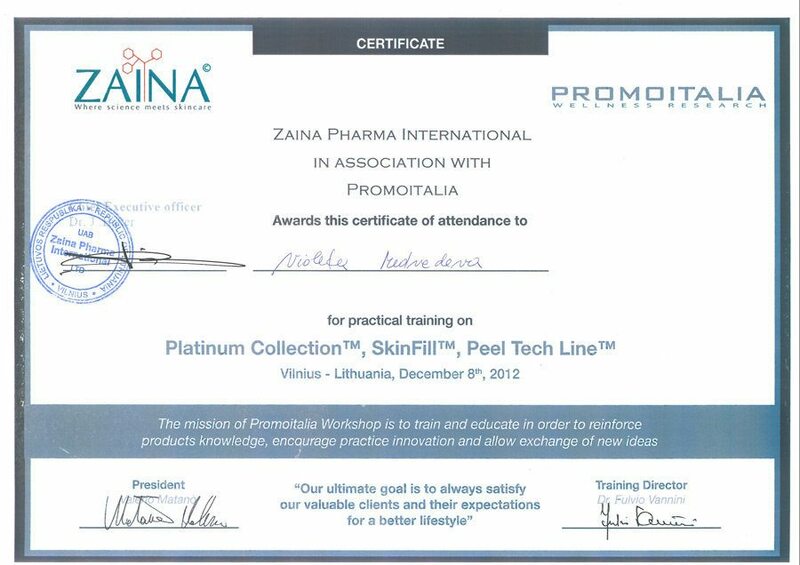 Awarded the Honourable Mention by the Mayor of Vilnius. 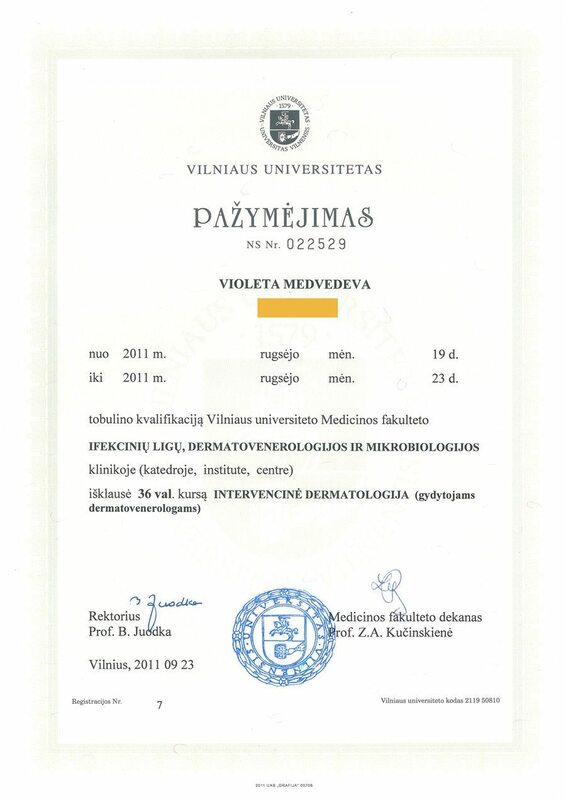 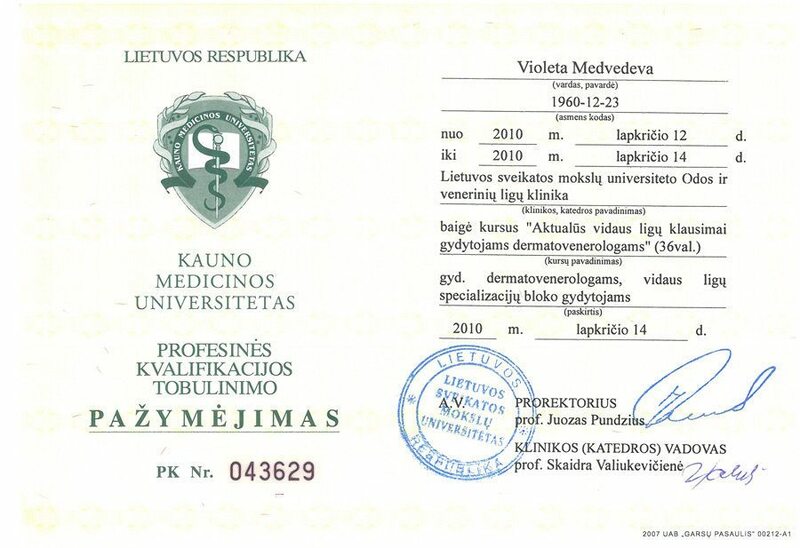 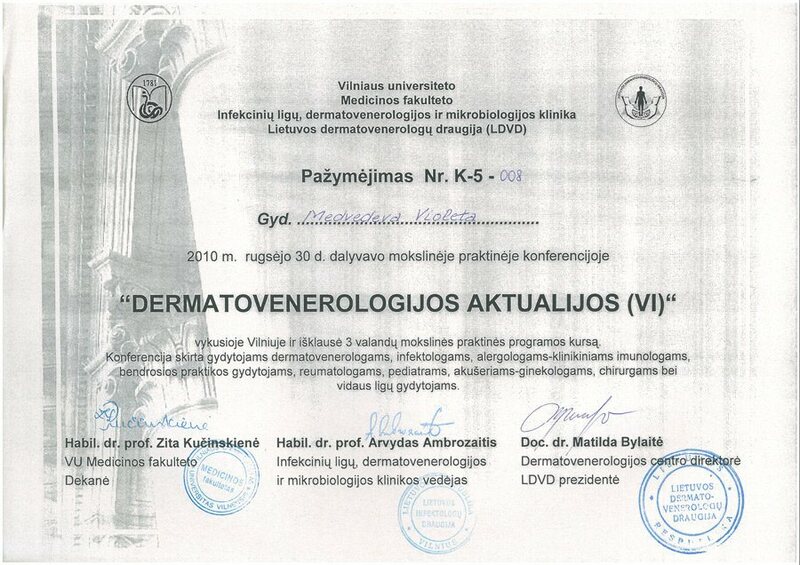 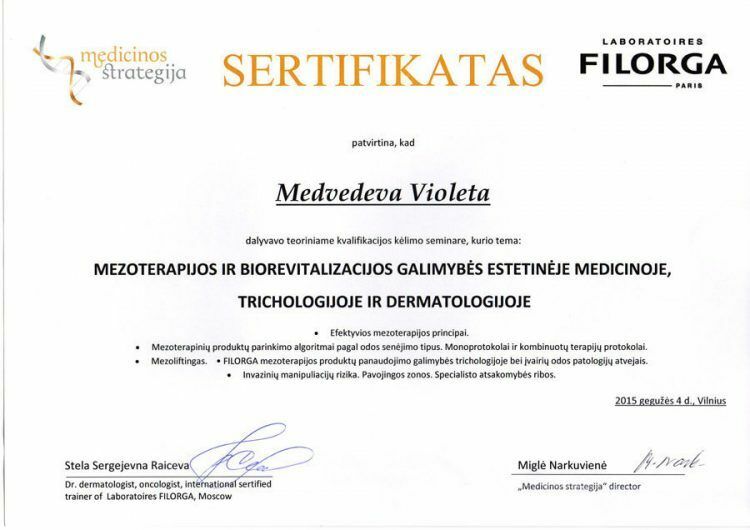 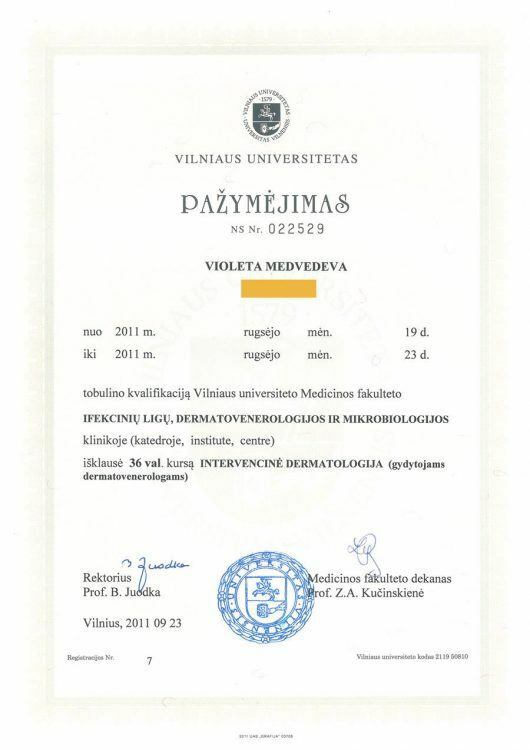 Dermatovenerology doctor at UAB “Verkių klinika”. 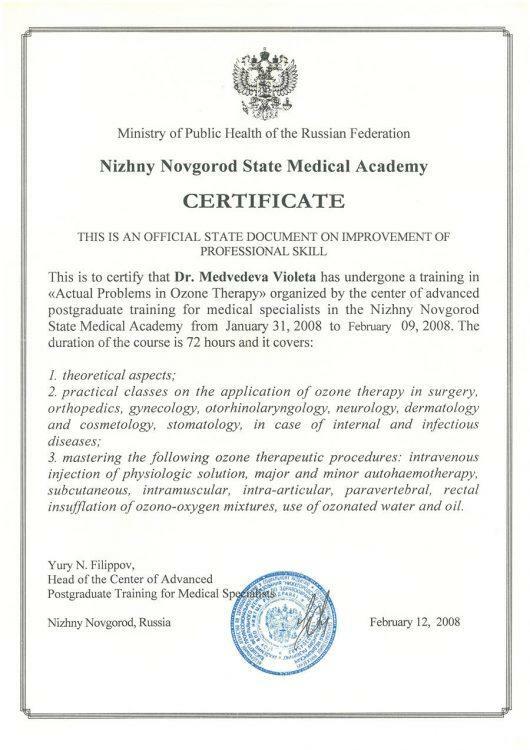 Dermatovenerology doctor at the Family Clinic “NEOZON”. 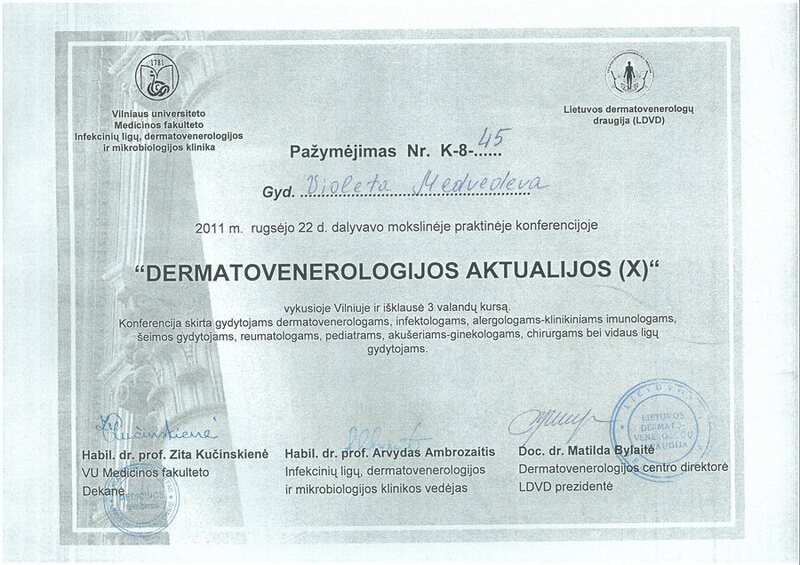 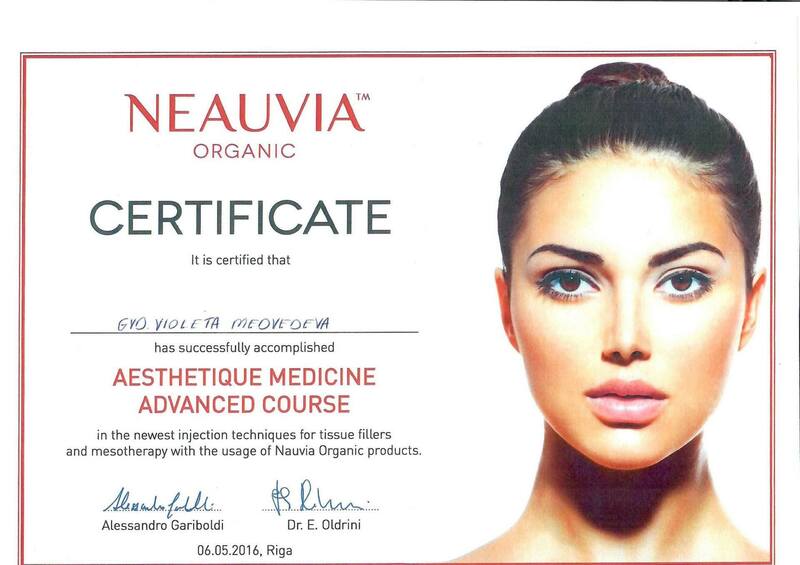 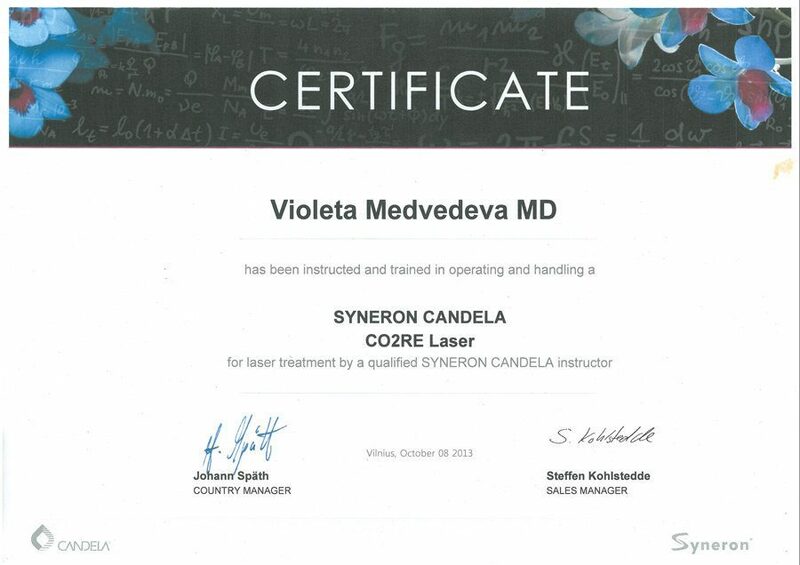 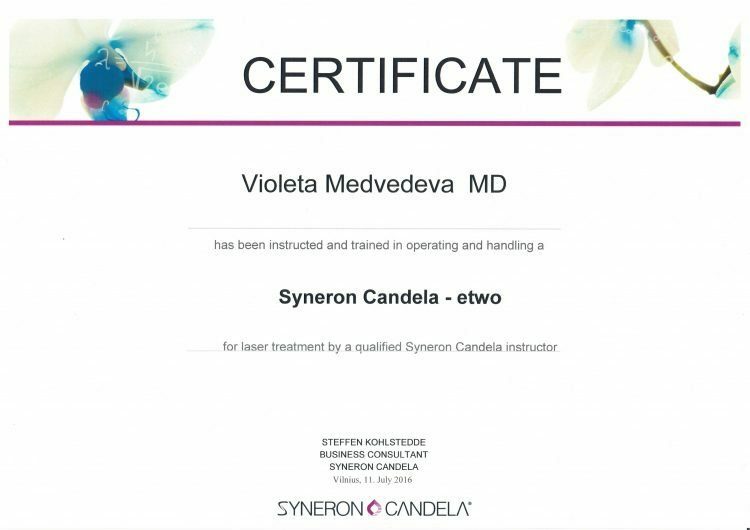 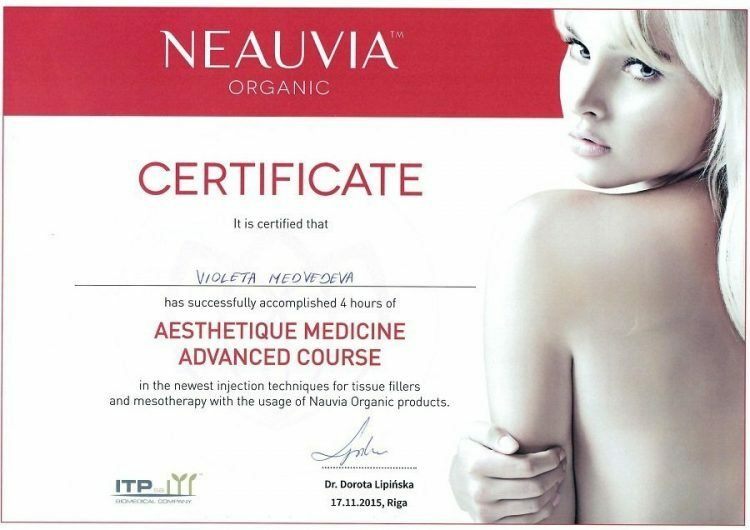 Dermatovenerology doctor at the Era Esthetic laser dermatology clinic in Vilnius. 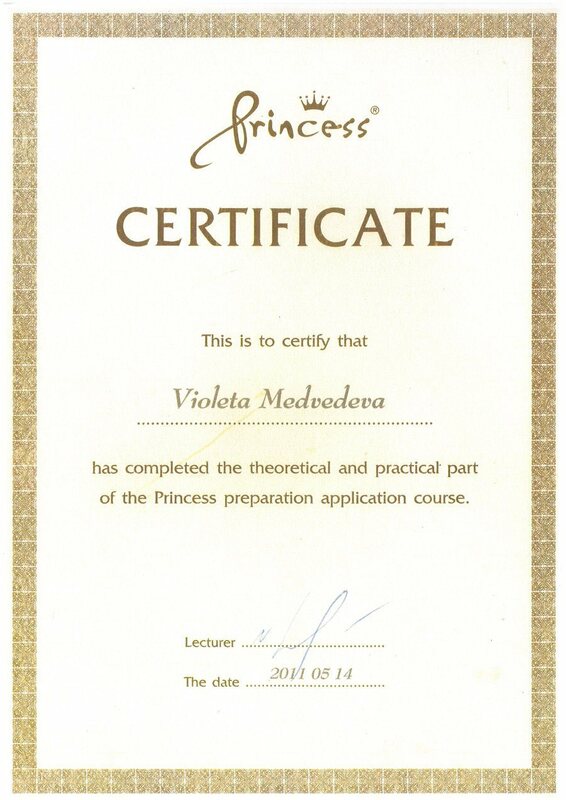 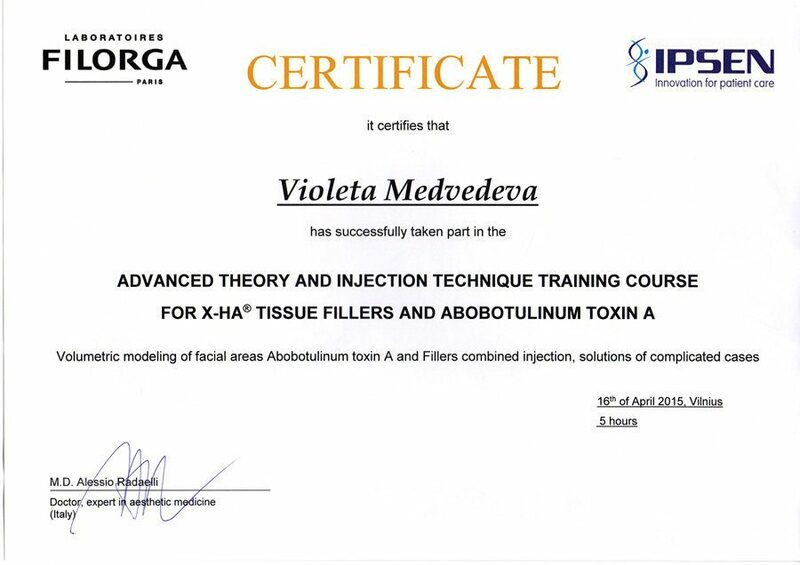 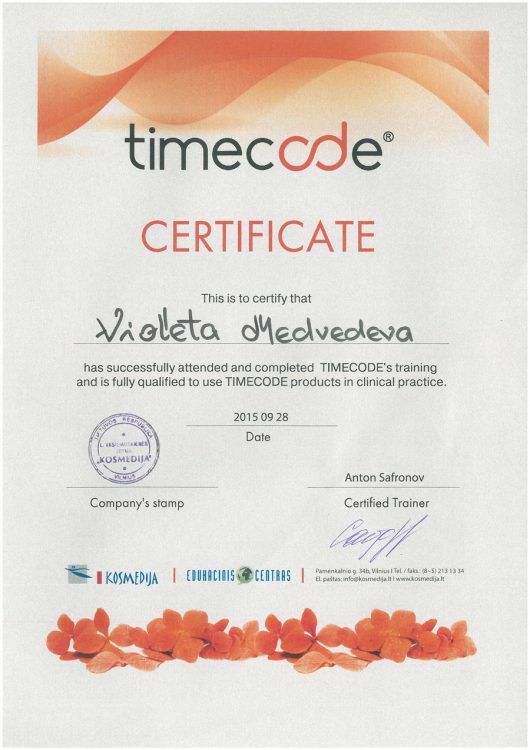 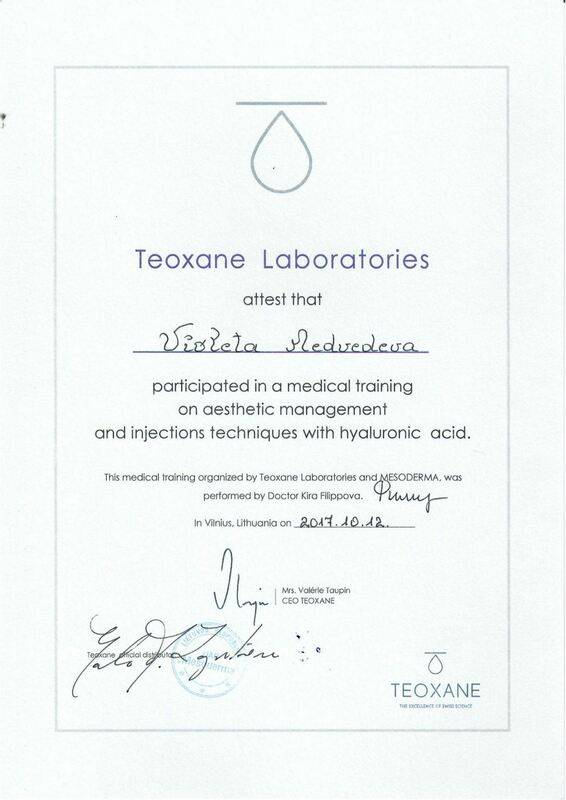 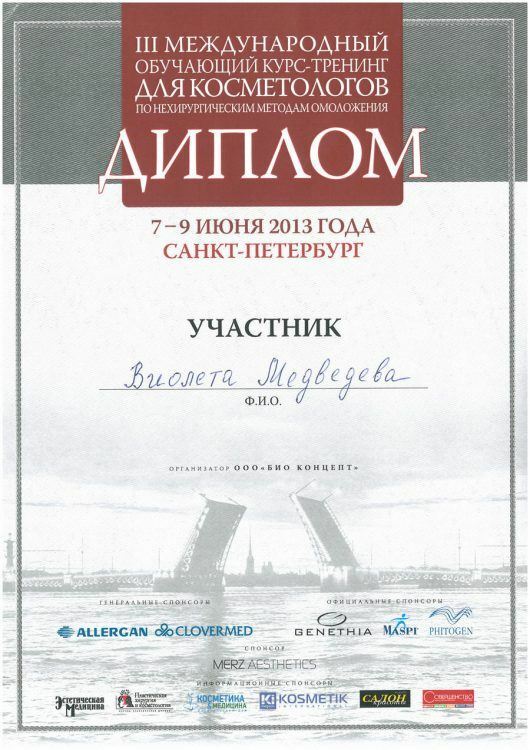 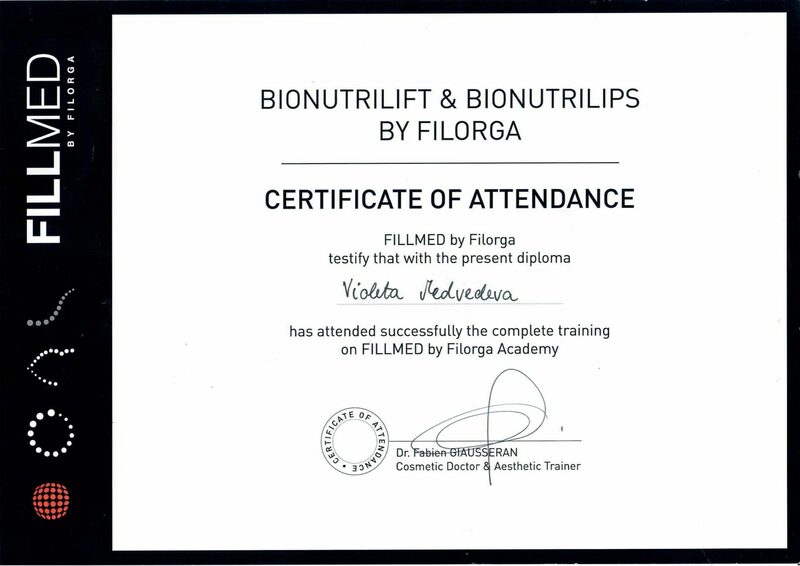 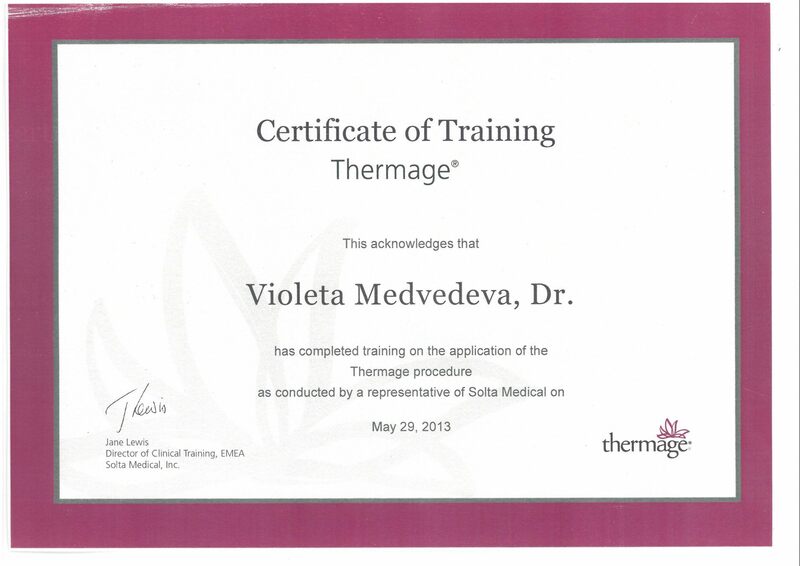 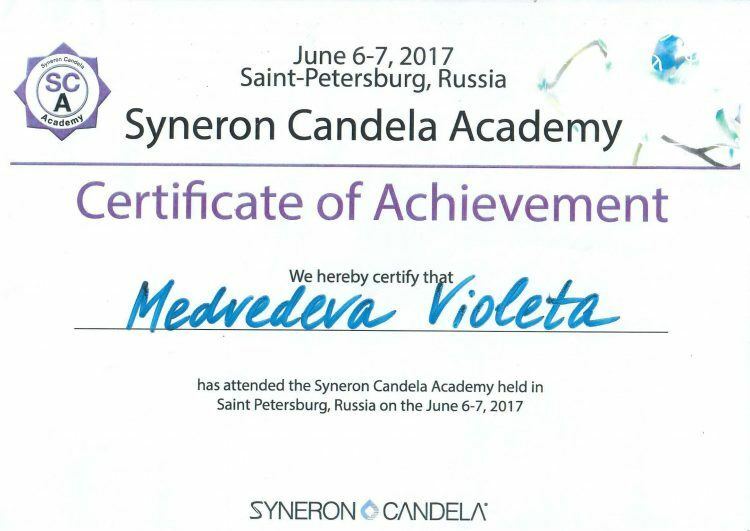 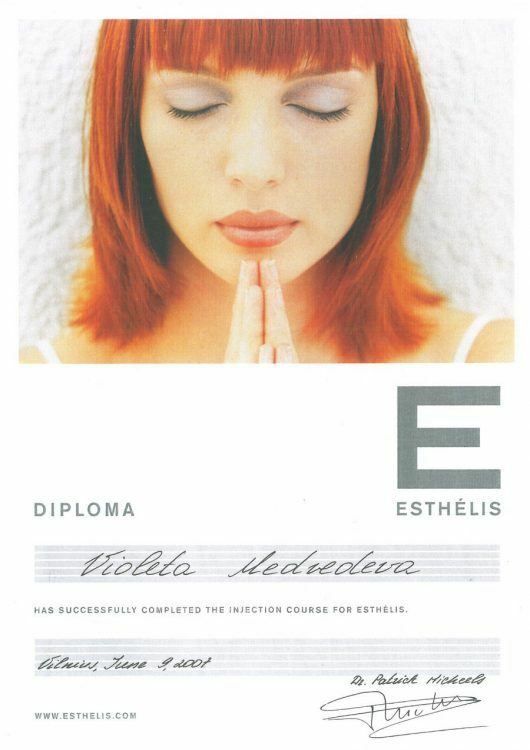 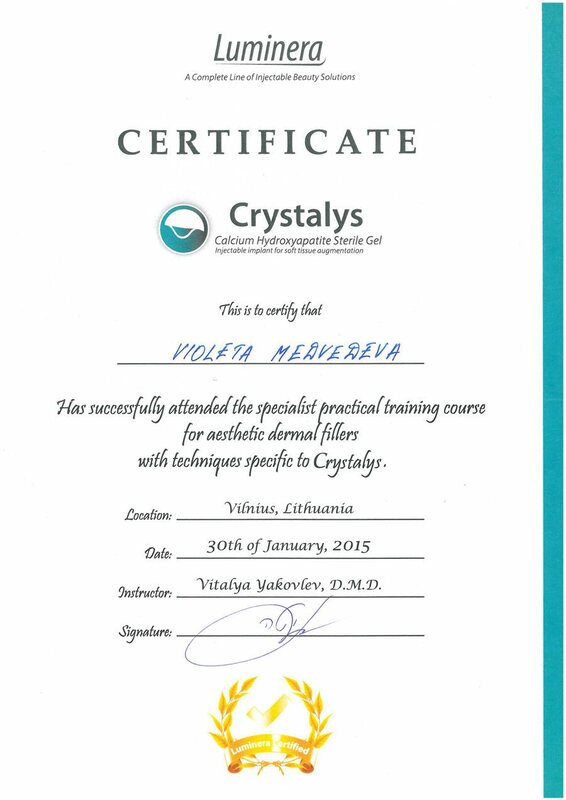 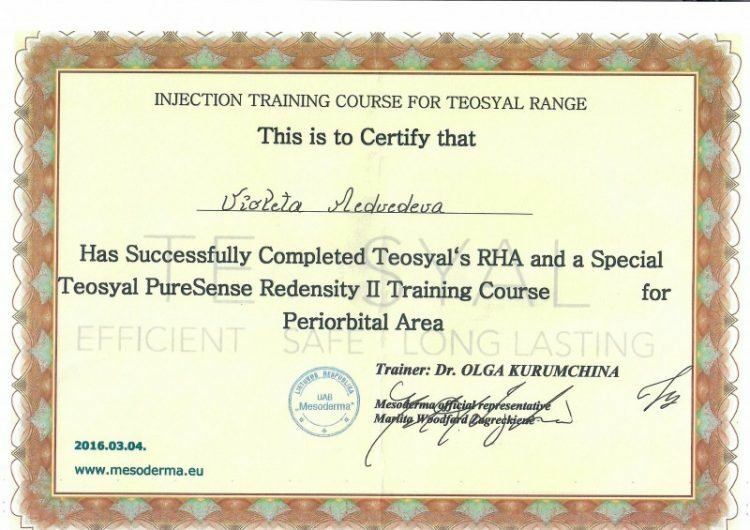 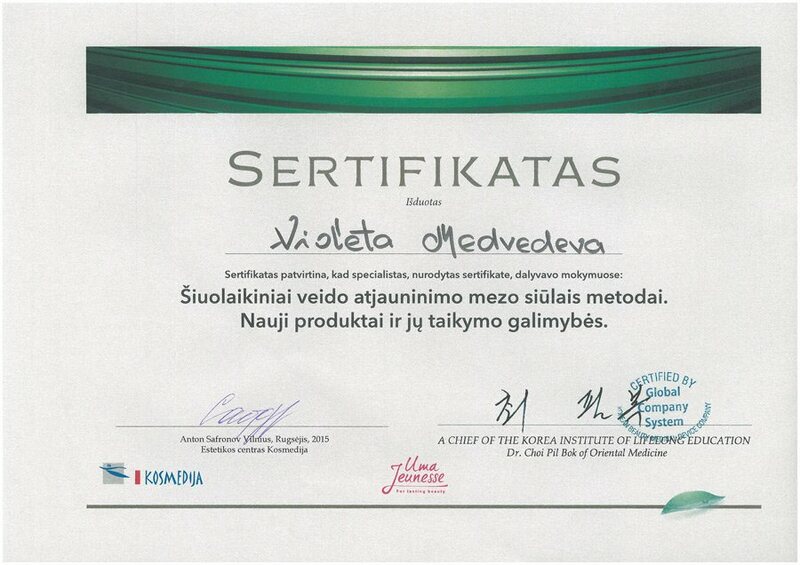 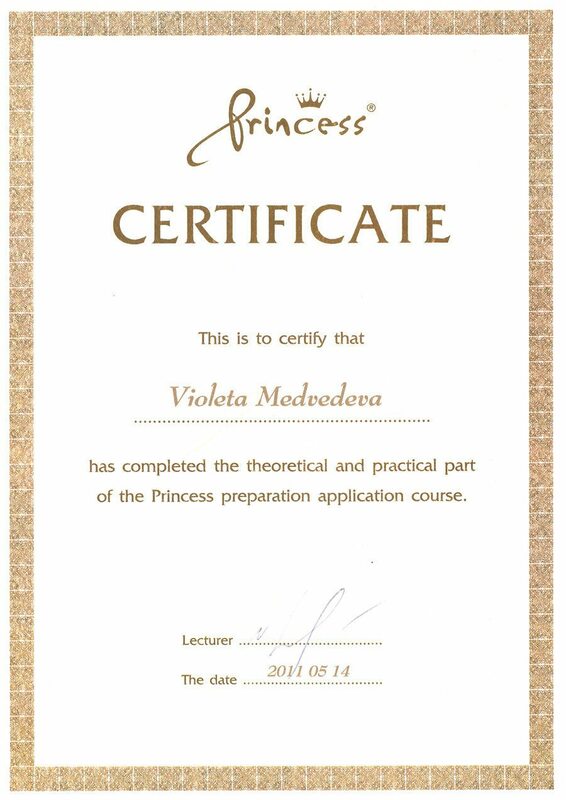 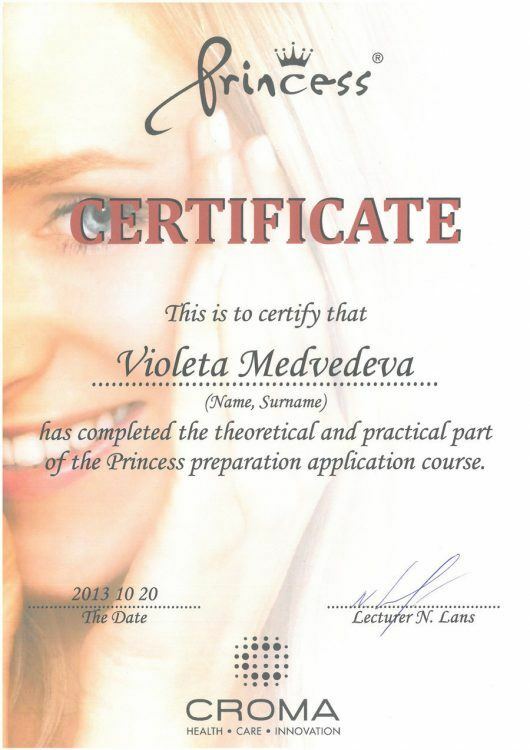 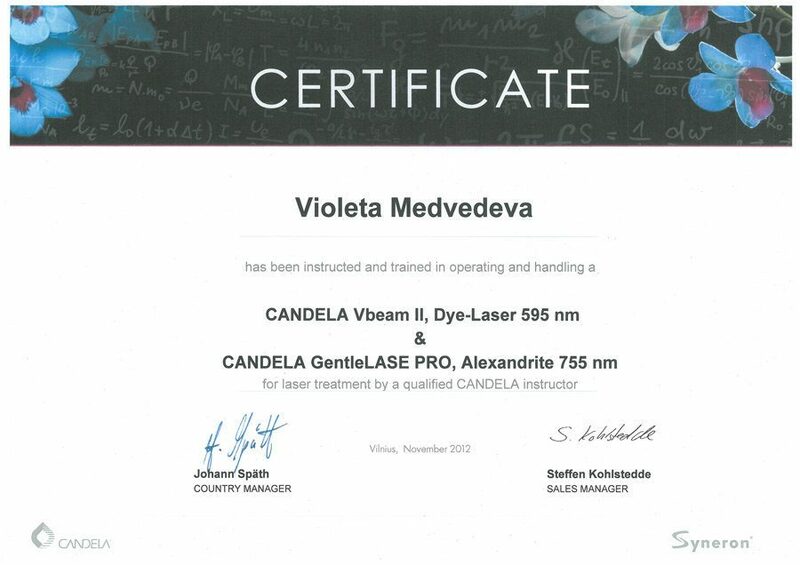 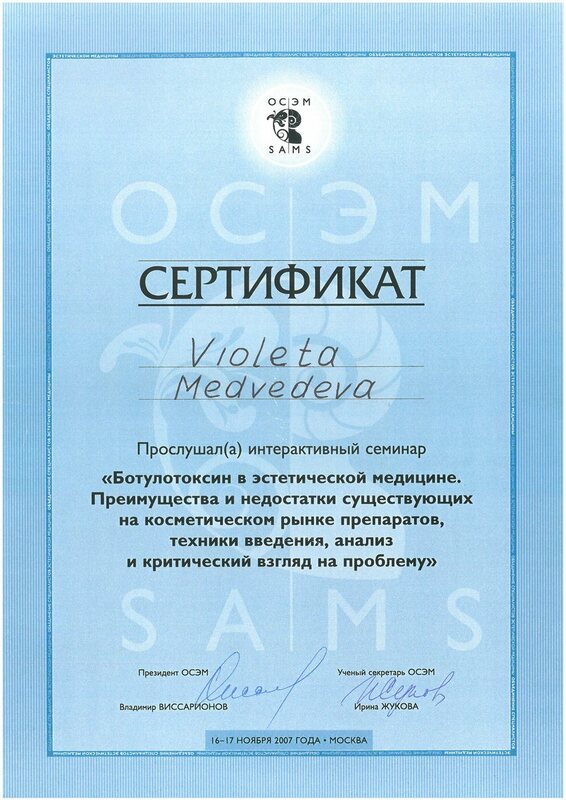 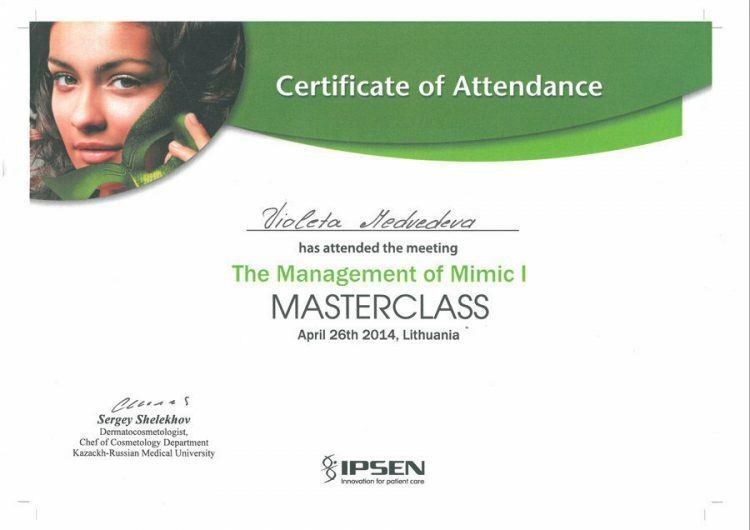 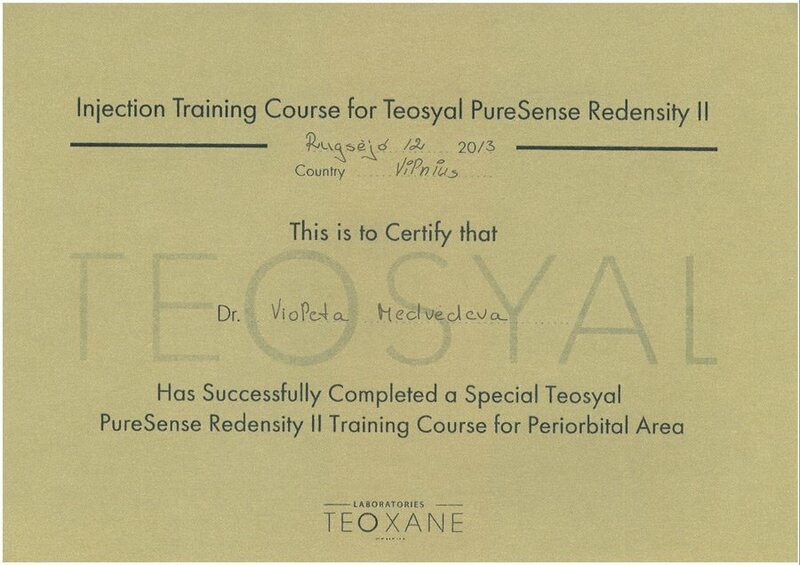 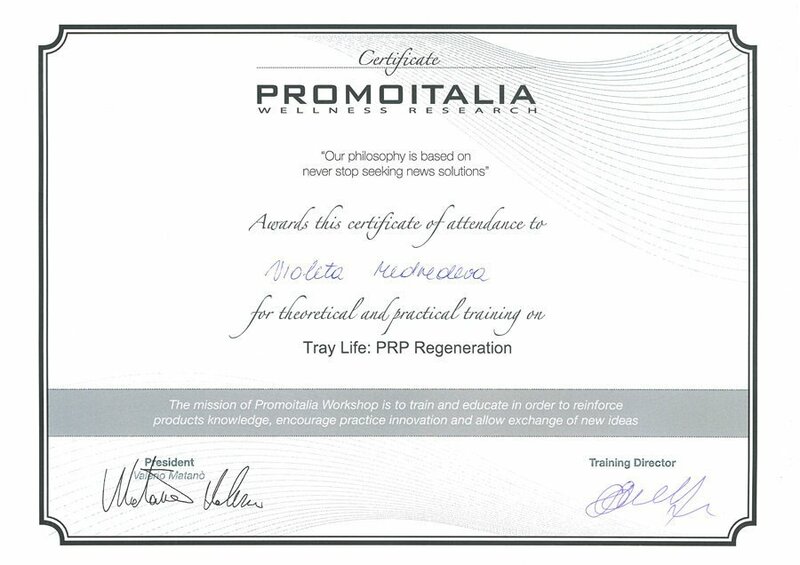 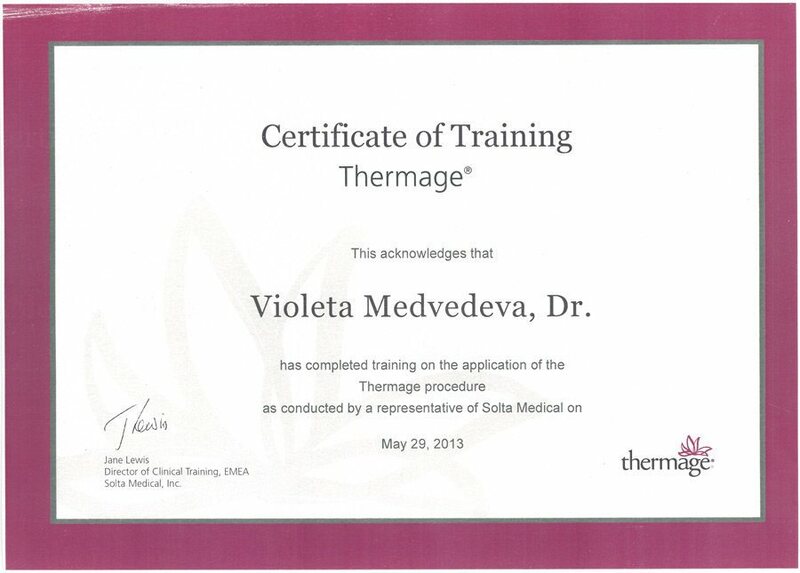 Graduated from the trichology qualification course in St. Petersburg.